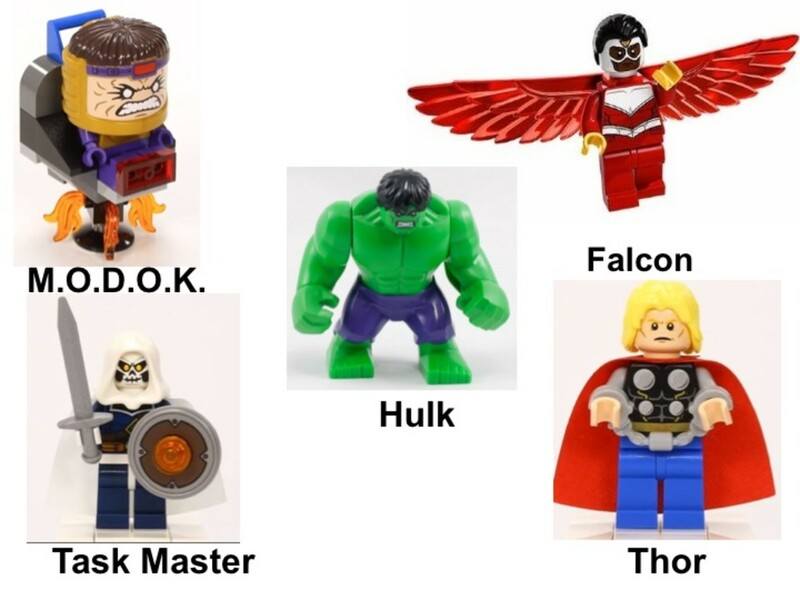 In 2014, Marvel superheroes would get the most diverse selection of building sets. 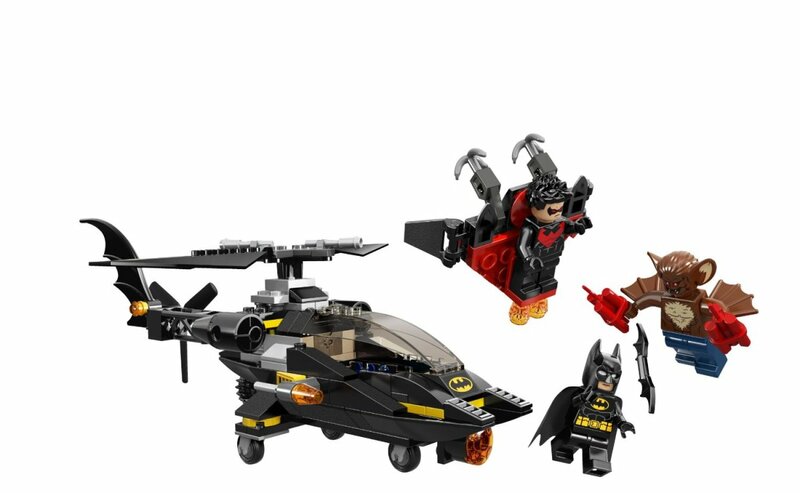 DC mainly focused on Batman and a couple promotional minifigures, that tie into the new LEGO Batman 3: Beyond Gotham video game. 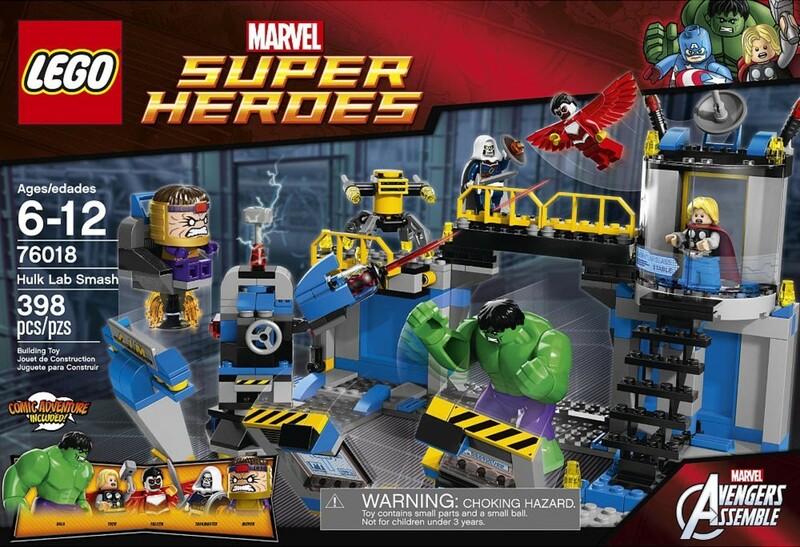 The Avengers are Earth's mightiest heroes and are also a great way for LEGO to create an assortment of Marvel super hero building sets, without having to give any one character a larger sub-theme. Captain America is chasing after the Red Skull and Hydra, who have acquired the cosmic cube. 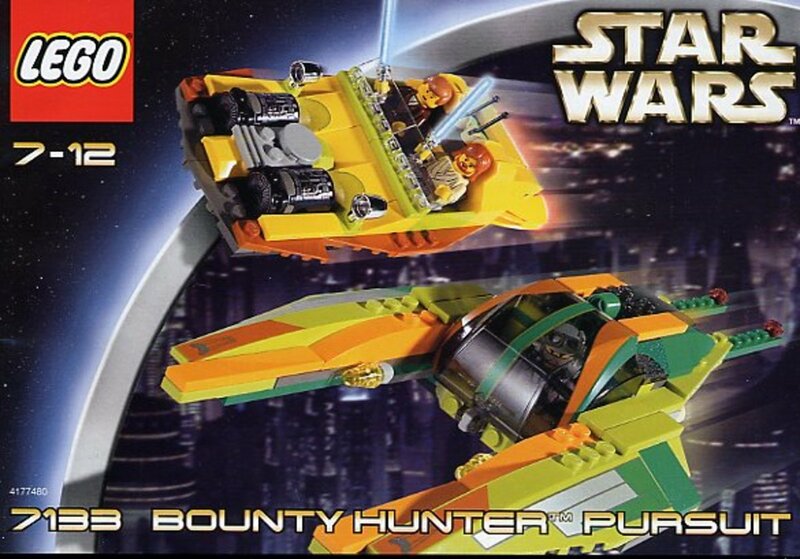 The set contains two models. Captain America's motorcycle is very similar to Mac McCloud's, from the Pharaho's Quest theme. 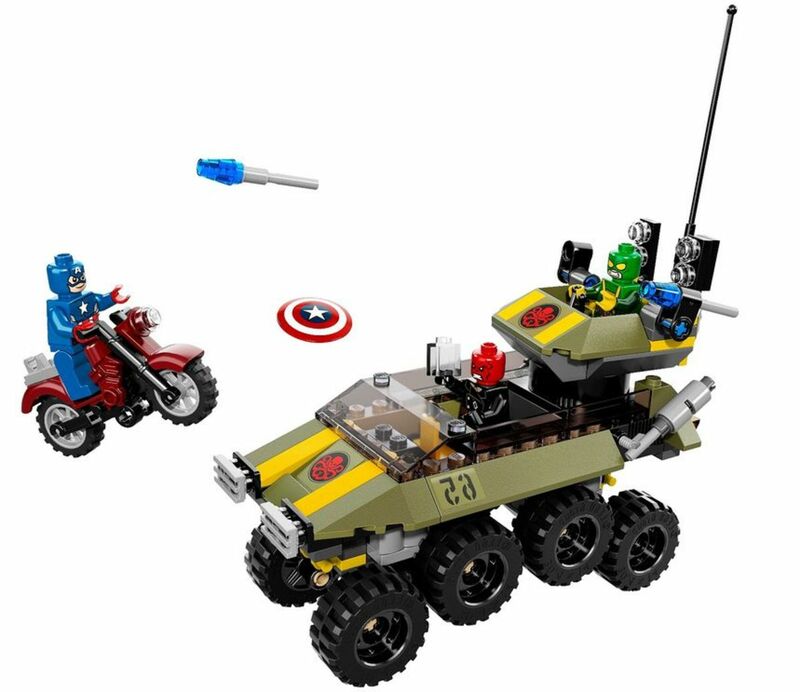 LEGO was proud of saying Cap's motorcycle has "working suspension wheels". The HYDRA tank is the largest model in the set. It seated two minifigures. One drives the off-road vehicle, while the other operates the turret. The gun can rotate and is armed with dual flick-fire missiles. 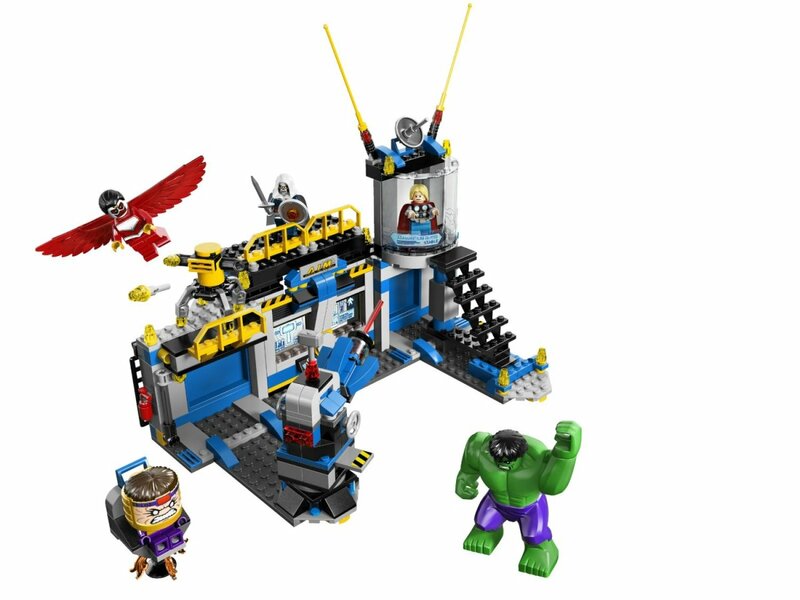 This building set is based on the Disney XD Avengers Assemble cartoon. Thor has been captured by A.I.M. and being held in one of their underground bases. The laboratory measures 9" high, 10" wide and 6" deep. It comes with lots of things for the Hulk to smash. He can burst through the collapsible wall, to gain access to the facility, and then destroy the breakable wall and shielded cell. The villains' hideout is guarded by a rotating laser cannon and attack droid armed with two flick-fire missiles. 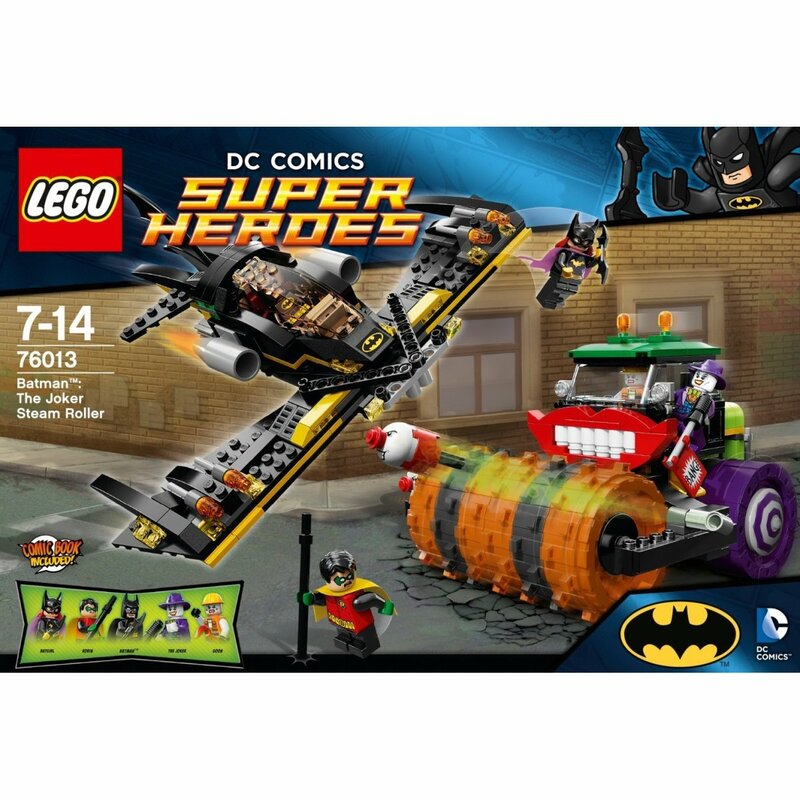 Batman, his rogue gallery of villains and all their fantastic vehicles were the main focus for this year's DC Super Heroes building sets. Fans of the 1966 Adam West, Batman television series were in for a real treat this year. After almost 50 year, this campy take on Batman was being released on bluray/DVD. 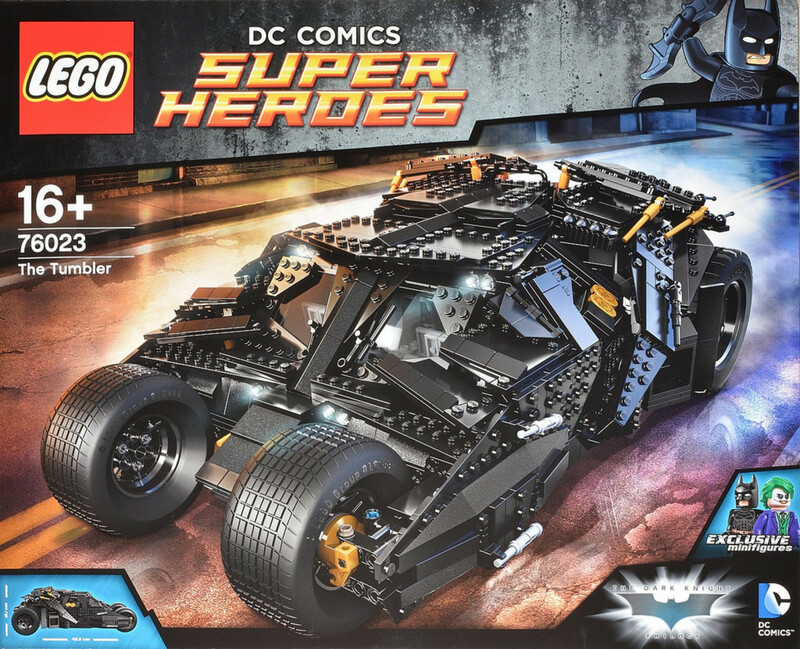 LEGO would also create a model of the Batmobile. 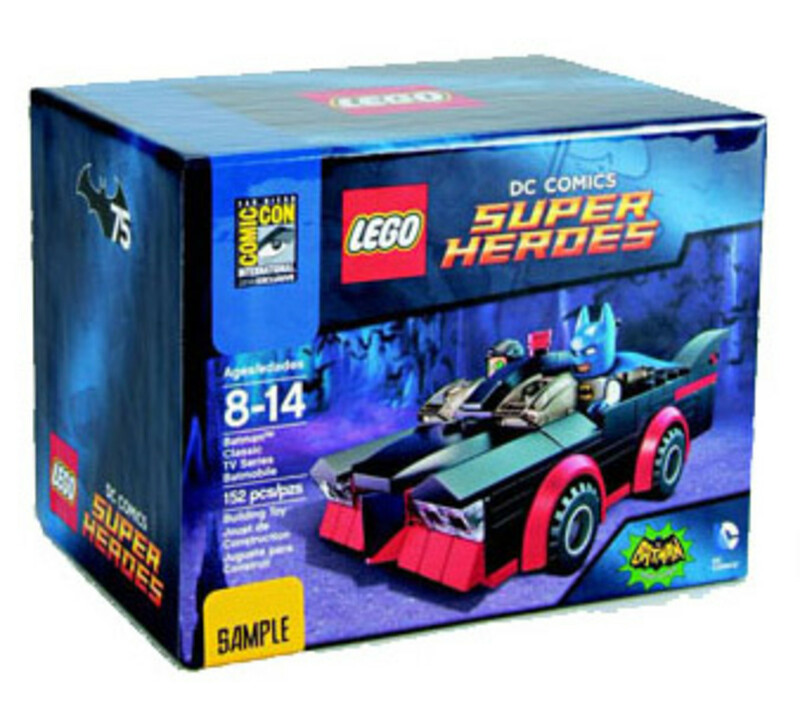 The promotional set was released at the 2014 San Diego Comic-Con. The model is a relatively accurate representation of the car seen on t.v. There are some small inaccuracies, like two exhaust pipes instead of three and some gadget placements. 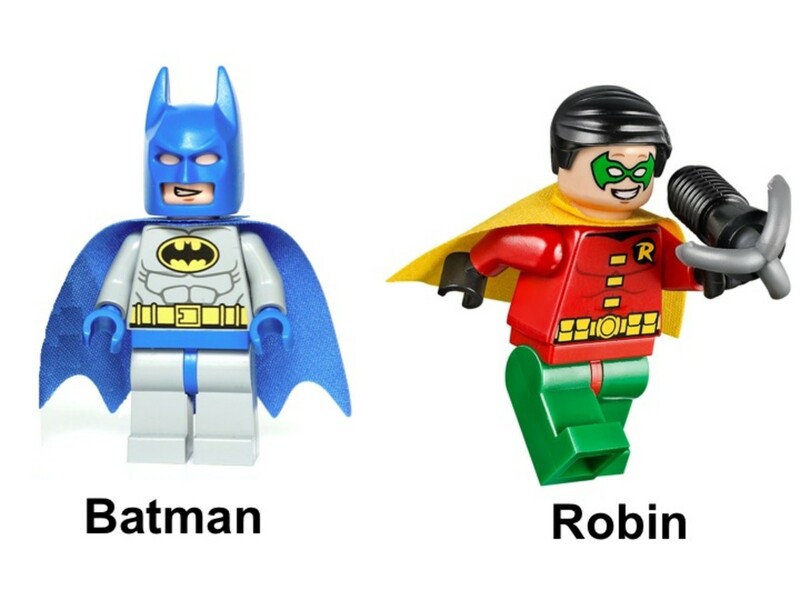 The Batman and Robin minifigures do not match the television show and come from the Juniors line. 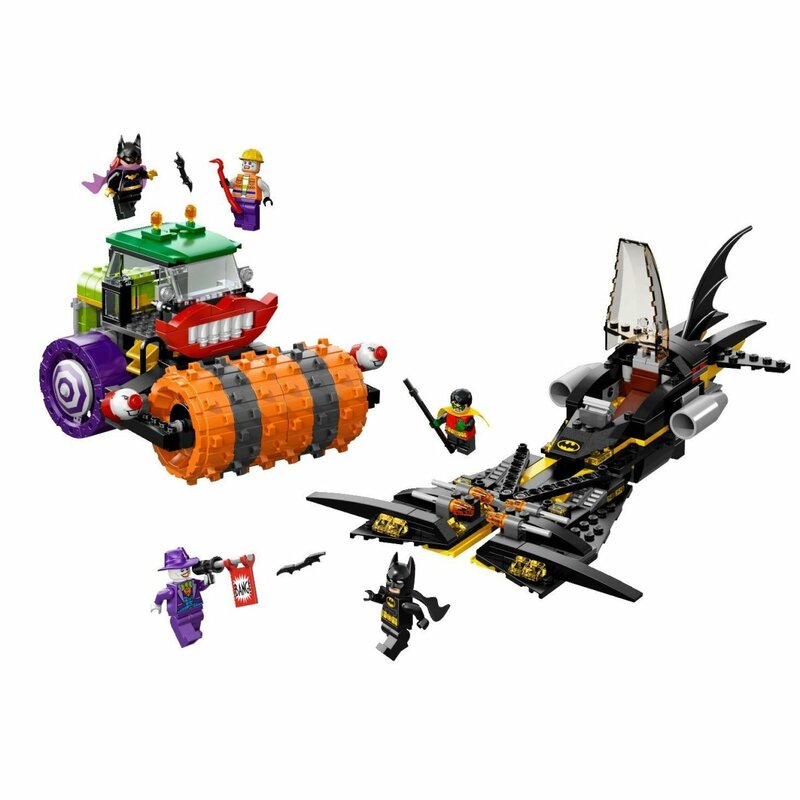 The Joker and his Henchman are causing random destruction in a steam roller and it's up to Batman and his allies to stop them. The steam roller is built in crazy Joker fashion. The large smile makes the chunky movable roller even more terrifying. It is armed with the Joker's signature laughing gas bombs, that can be flicked at enemies. For close combat, the Joker has his flag gun. Batman is flying the Batwing to intercept. The opening cockpit allows Batman to sit comfortably inside. The wings fold into attack position and are armed with four flick-fire missiles. 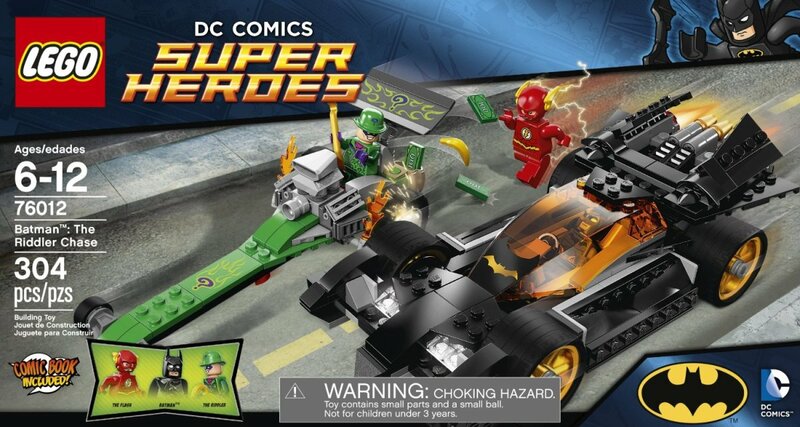 Damian Wayne and Batgirl make their first appearance in this set, but the box accidentally calls Damian by his alias of Robin. 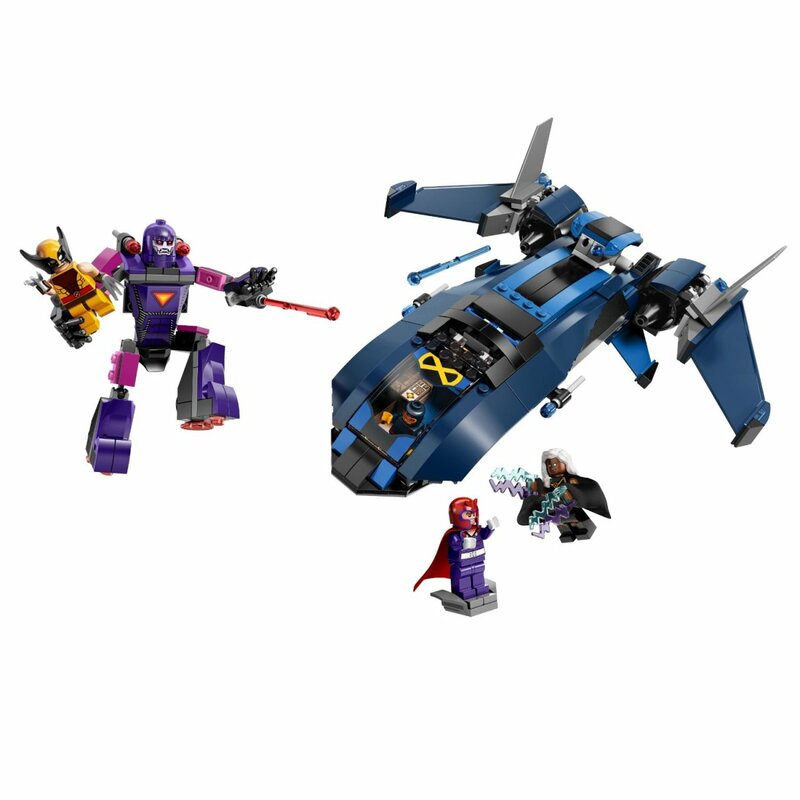 The main model in this set is the redesigned Batcopter. 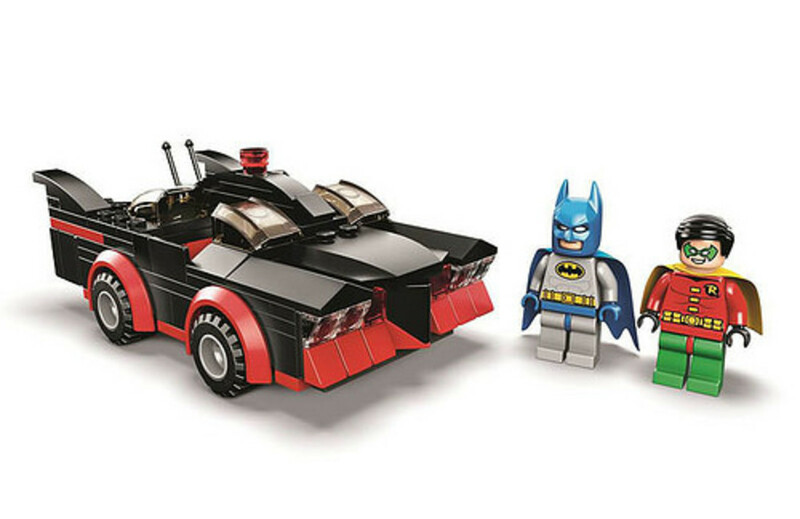 It is slightly smaller than the version released in 2007 and has been given highlights to fit in with the other bat-vehicles in the relatively newer DC Super Heroes theme. The Batcopter gas one flick-fire missile on each of its wings. A working winch can be used to rescue Nightwing from falling or ensnaring Man-Bat. For realistic detail, the cockpit opens and the rotor blades spin. Nightwing's glider is simple in its design and armed with grappling hooks. 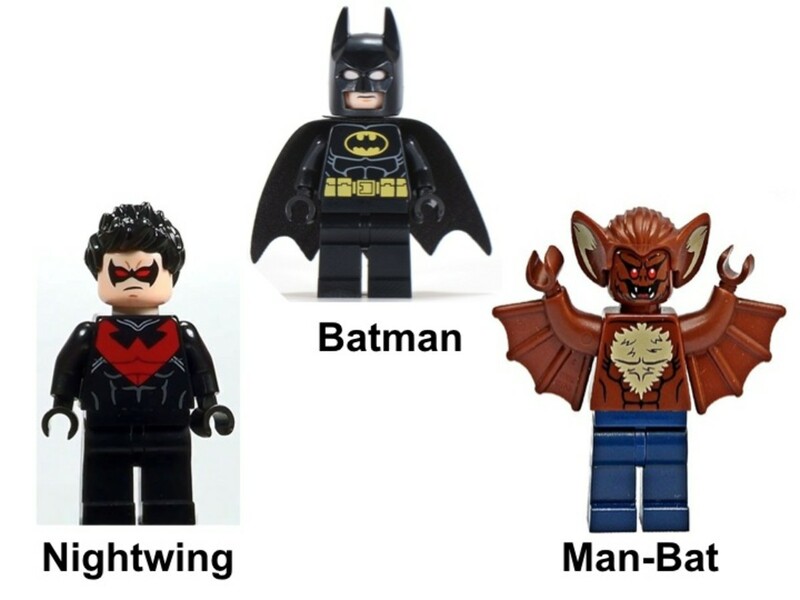 Since Man-Bat can fly naturally, all he needs are sticks of dynamite. The story for this set is your classic diamond heist. 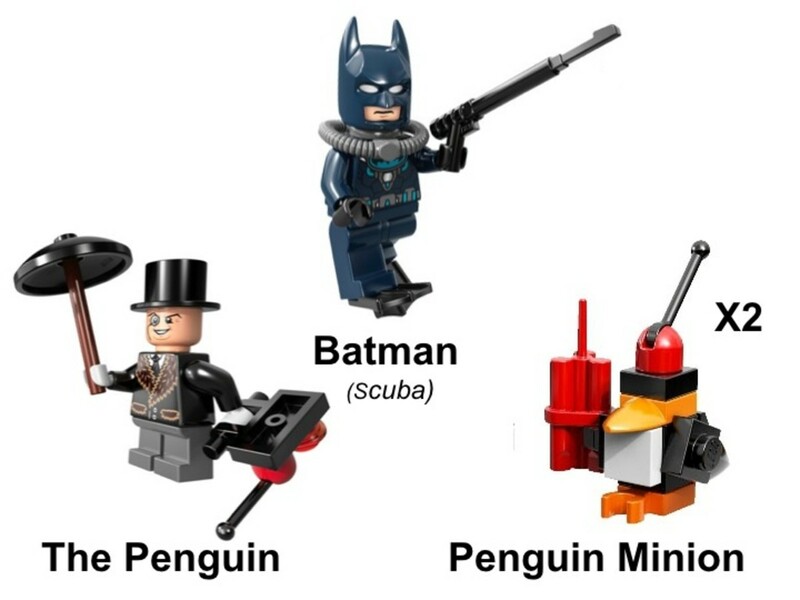 With two vehicles, two robot penguins and two minifigures, no one model is too large, but they are all packed with fun detail. 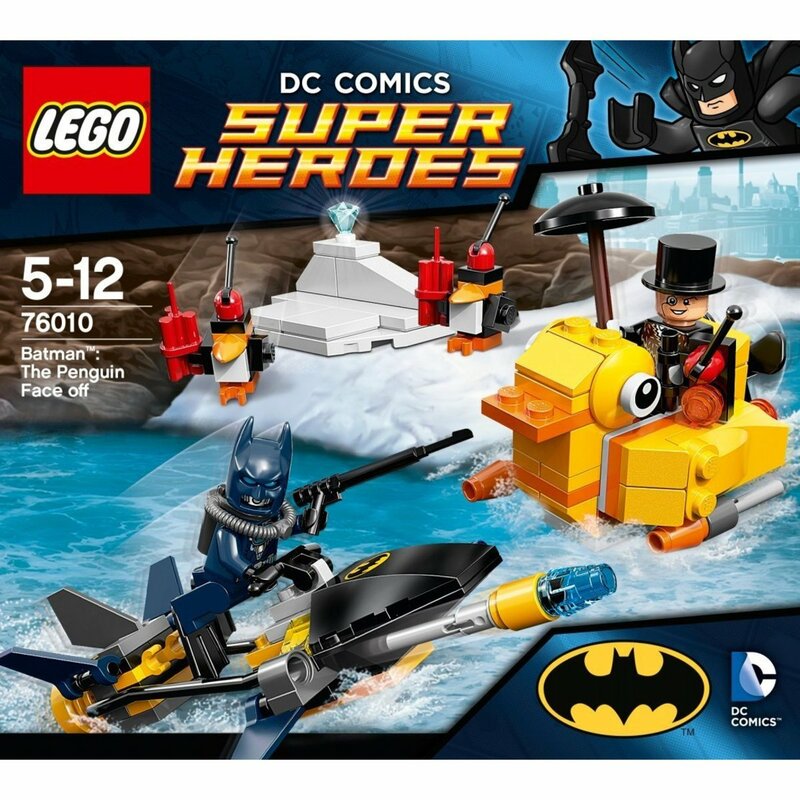 Batman's SCUBA vehicle is armed with two flick-fire missiles and he is wearing SCUBA gear. 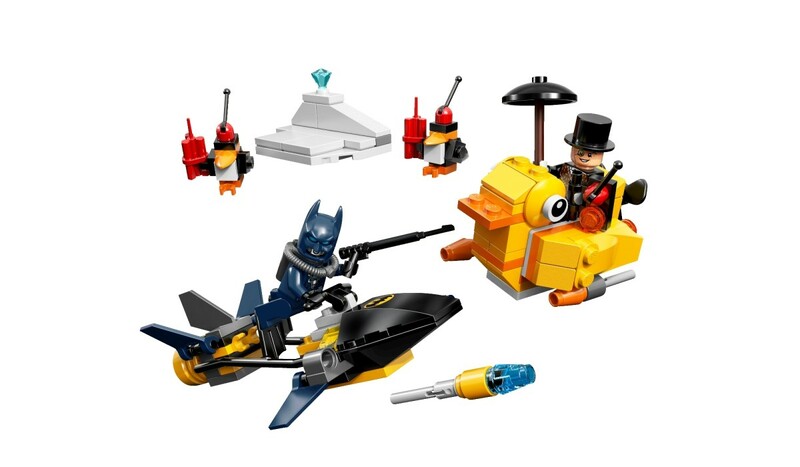 The Penguin drives a vehicle shaped like a duck armed with two flick-fire missiles. The diamond can be secured in a block of ice. The Riddler has robbed a bank and is fleeing the scene of the crime in a dragster. 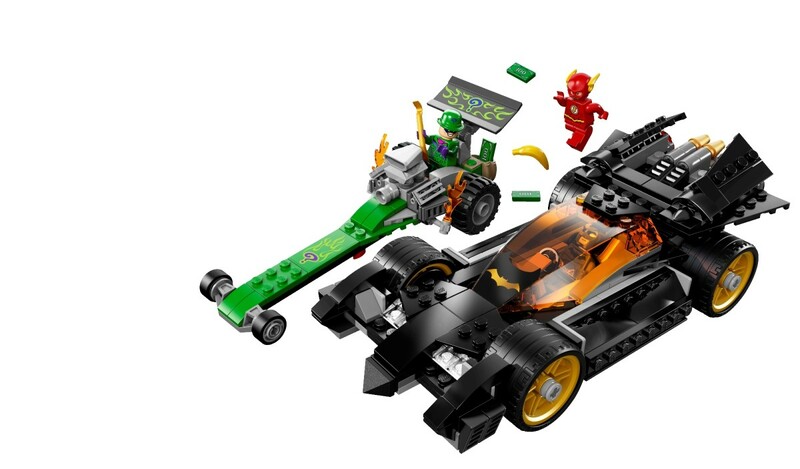 This would be the first LEGO building set vehicle designed for the Riddler. It has large rear wheels, a big engine and flames coming out. Detachable bombs can deter most of those in pursuit and a banana will trip the Flash. 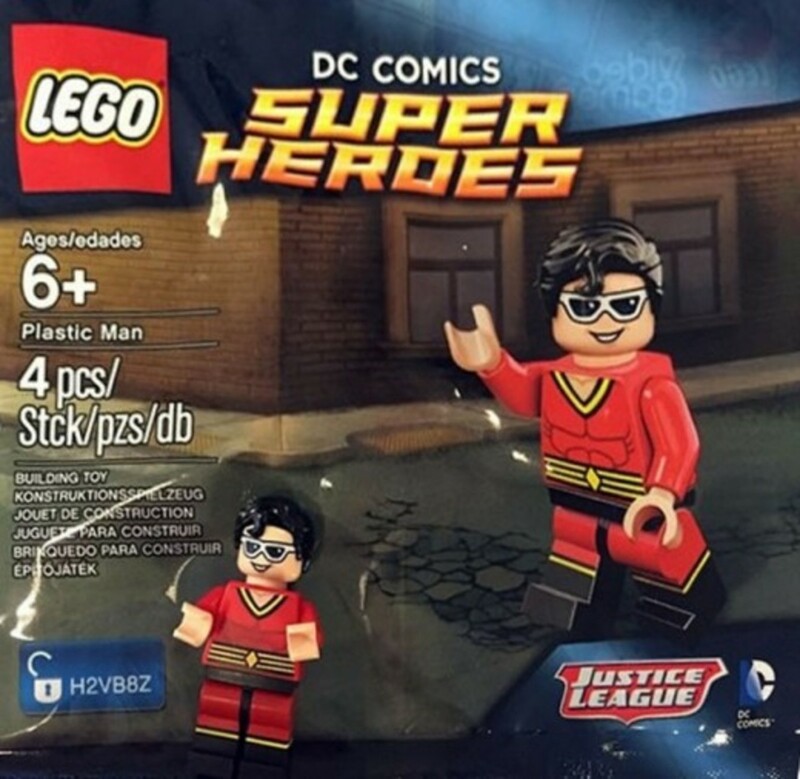 This would have the first Flash Minifigure in a building set. Batman's suit and Batmobile were redesigned and made to look like their appearance in the animated Beware the Batman, which was airing on Cartoon Network. 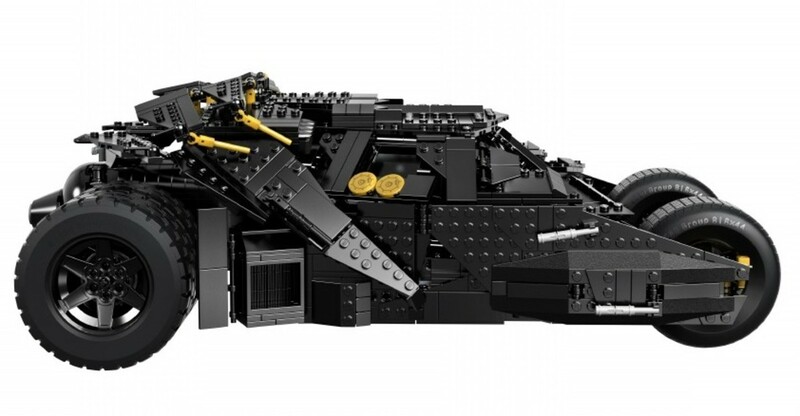 The Batmobile has a detachable cockpit and hidden flick-fire missiles. Batman of Zur-En-Arrh has a couple origins within DC's multiple Earths. In one reality, it is an insane personality that would be used if Bruce Wayne's secret identity is ever discovered. 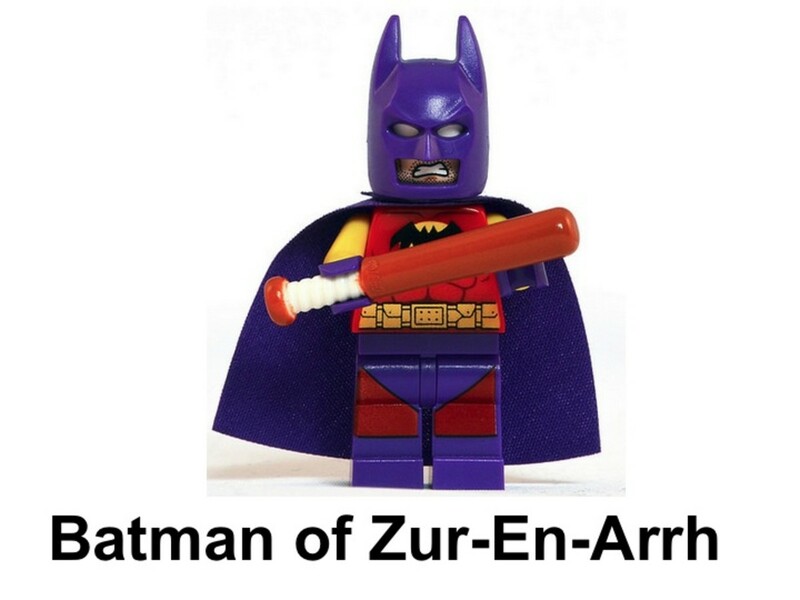 Another world has Batman of Zur-En-Arrh as a separate person and completely sane. This Minifigure was a giveaway at the San Diego Comic Con. 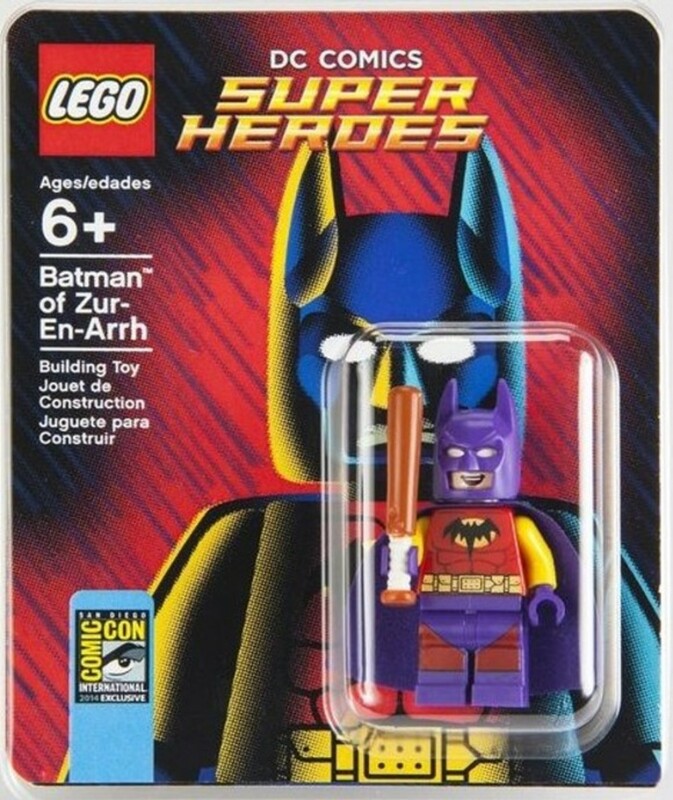 The character included many first for a Batman Minifigure. Besides the obvious coloring and use of a baseball bat, instead of a batarang, this would be the first Batman head to have an open grin and angry face with stubble. 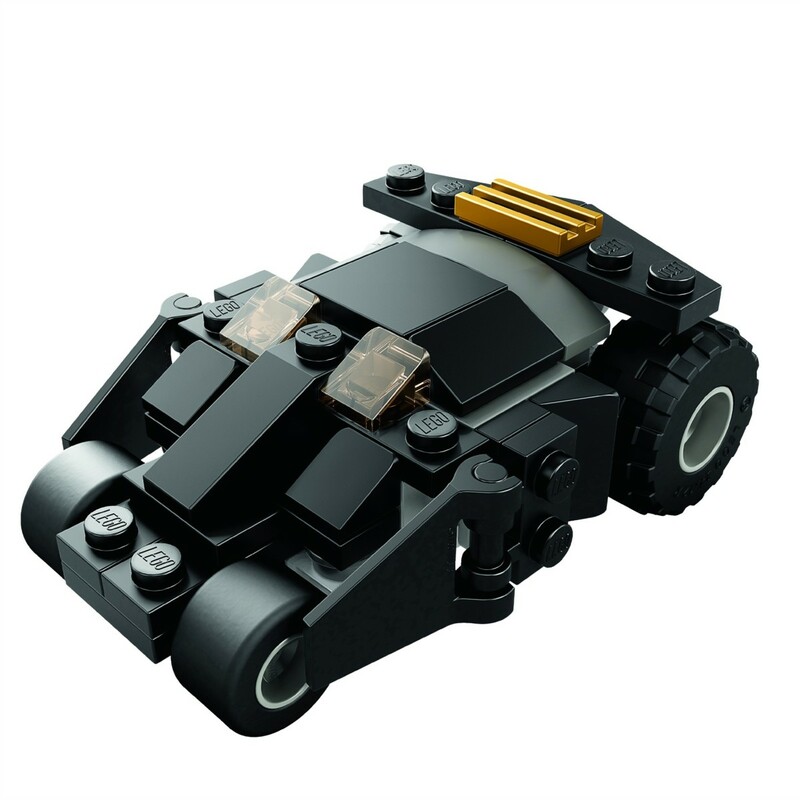 The Tumbler is based on The Dark Knight. 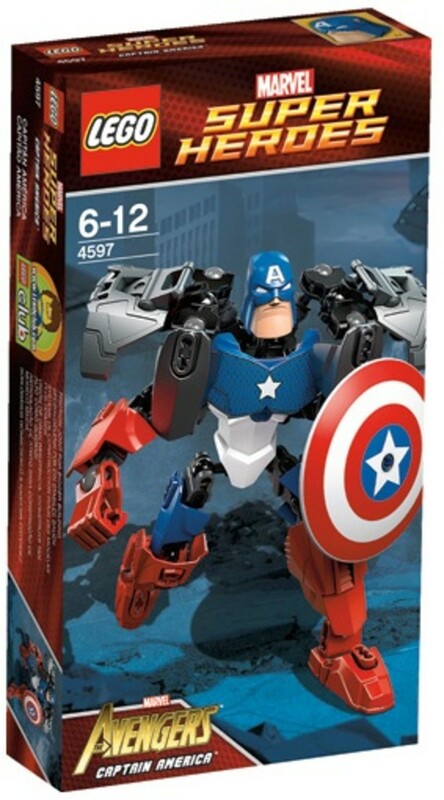 It is an Ultimate Collector's Series set and would be the largest Super Heroes model released yet. The armored vehicle has adjustable wings and a detachable roof. 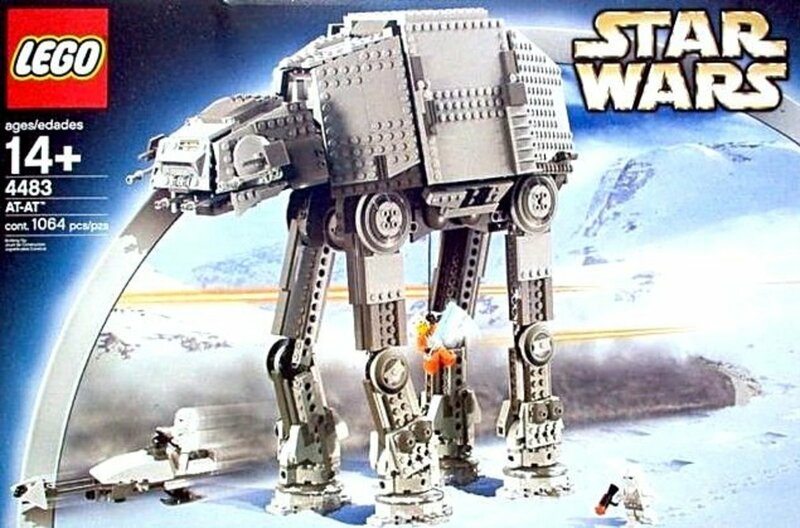 LEGO created special front wheels, to recreate the look in the film, and incorporated TECHNIC pieces for a suspension system. The interior of the vehicle is extremely detailed. There are two seats, steering wheel, computer monitors, keyboards, a rear view camera and lots of levers. Both minifigures are exclusive to this set. 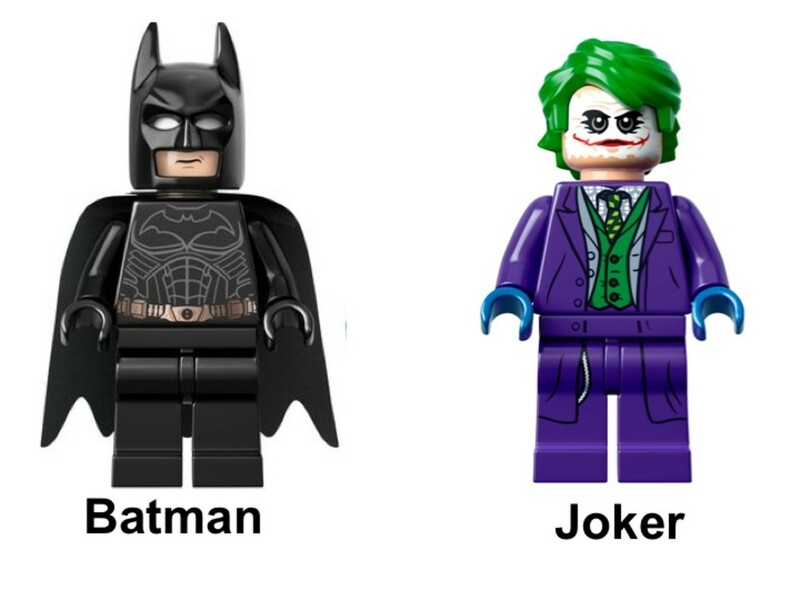 Batman has his Batman Begins Batsuit in black and Joker is based on Heath Ledger's character. The minifigures have a display stand, that also includes a fact sheet about the Tumbler. This mini building set is much smaller than the Ultimate Collector's Series discussed above, but is a lot easier to assemble and store. It also costs significantly less. 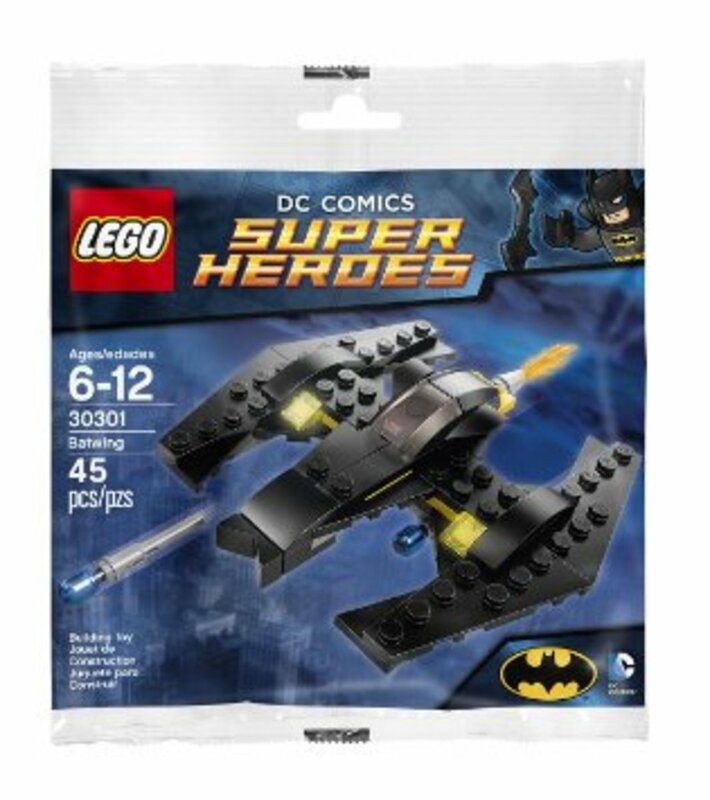 The mini Batwing uses the classic bat symbol design. 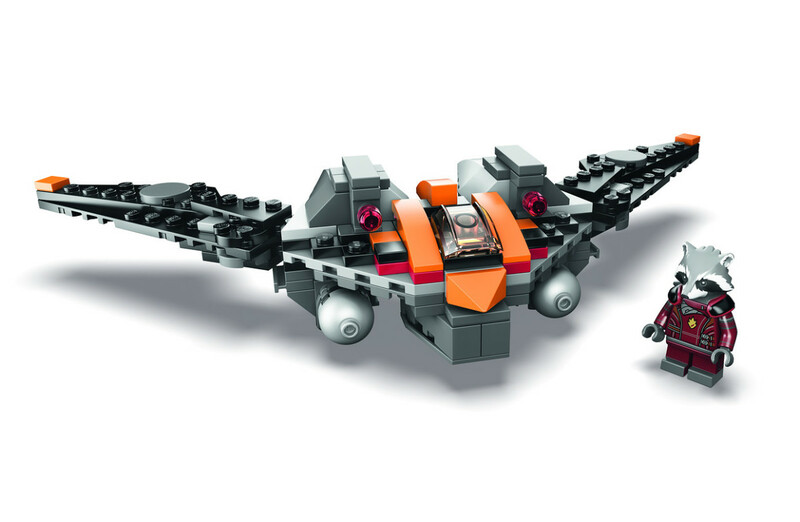 Unlike most mini building sets, this model comes equipped with two flick-fire missiles. This year would see the summer blockbuster movie Guardians of the Galaxy. 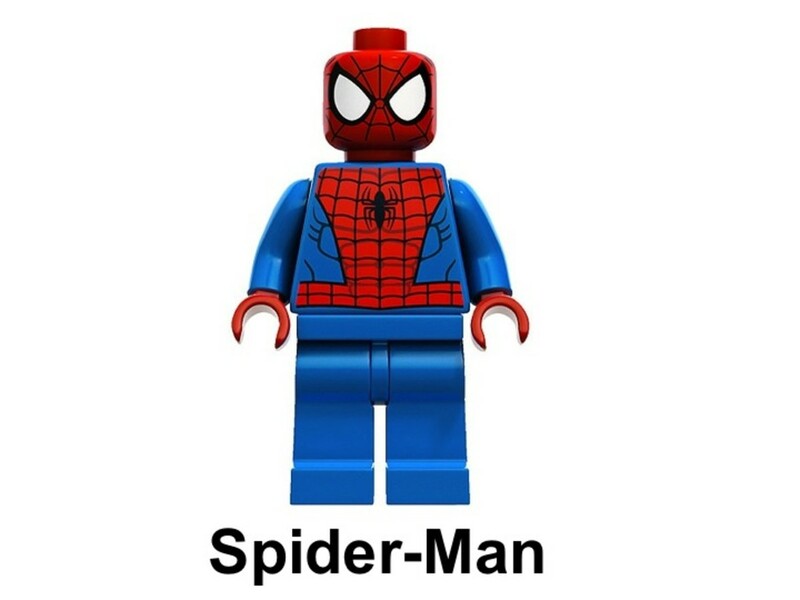 LEGO was able to base several building sets on the popular film and add to its impressive list of Marvel Minifigure characters. 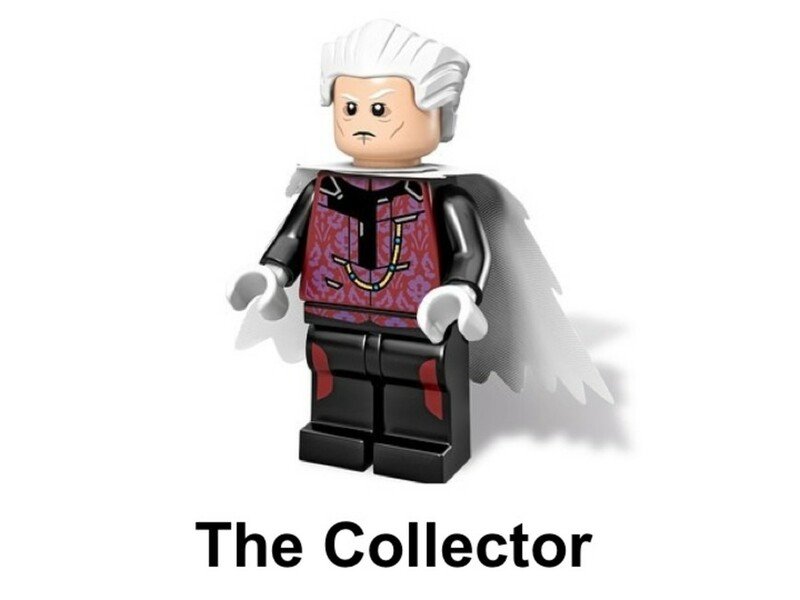 The Collector is an Elder of the Universe, who is over 5 billion years old. He is obsessed with collecting rare objects and creatures from across the universe. He either does this to preserve them from a cataclysmic event or to stave off the boredom of eternity. 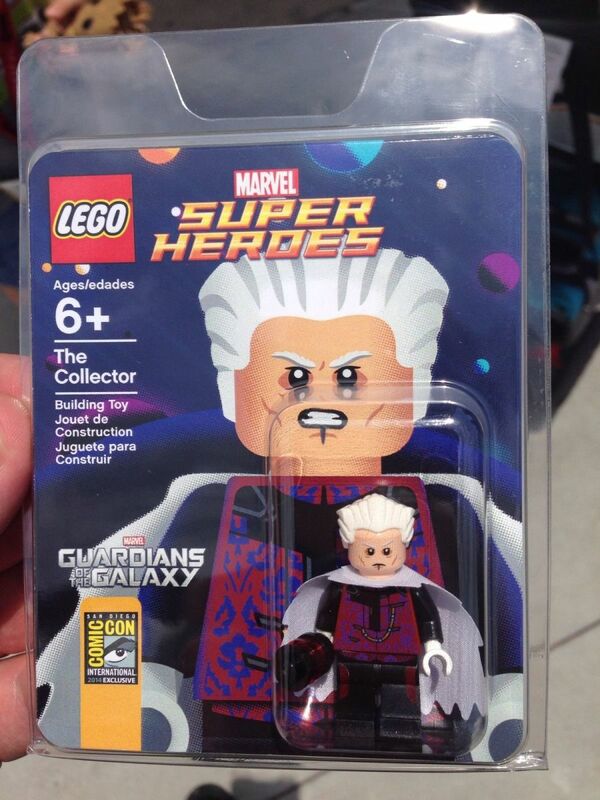 This minifigure is a Comic-Con exclusive. The Minifigure has two faces printed on the head. One side shows a stern expression and the other is angry. (The Collector is not a happy man.) The figure comes with the Aether, which is built by having a 1X1 translucent stud between two round 1X1 pieces. This set is based on the scene where our heroes are discovered at the Knowhere mining facility. 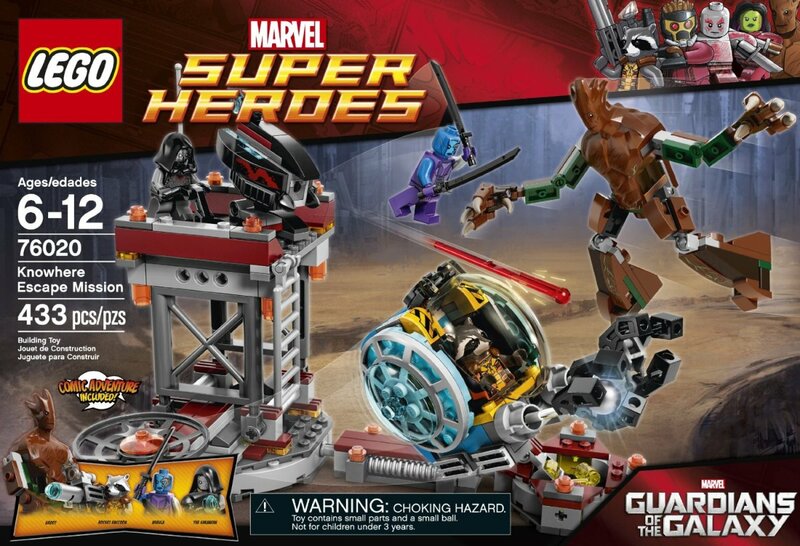 While a lot happened during the battle, these models focus on Groot and Rocket's action sequence. The mining pod has an opening cockpit, grabbing arms and fuel bombs. The bad guys have a portable spring-loaded bazooka. A catapult can be loaded with fuel bombs and used by either side. The mine is represented by a large tower. The structure is packed with playable features. A trap door can drop minifigures to their doom. The tower can "explode" and fall down. The set also has a docking station for the mining pod. 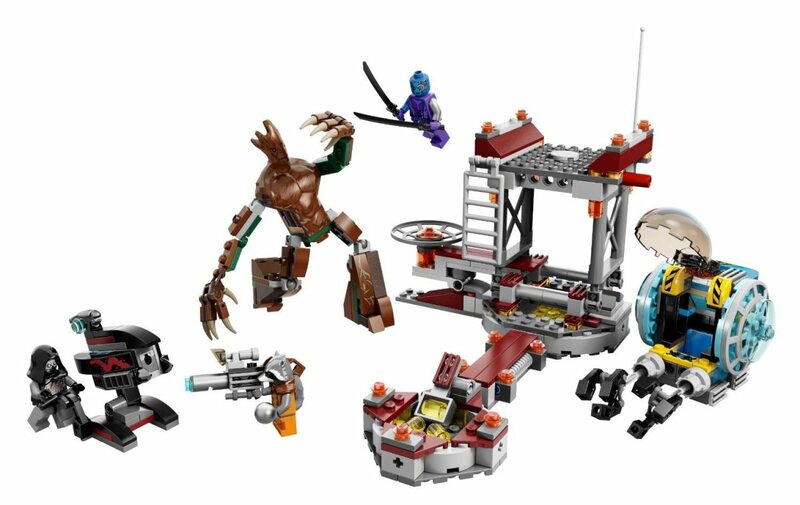 This would be the first set to contain Groot and Nebula. Groot is much taller than your average minifigure, so his character must be assembled. He stands 5" tall and is fully articulate. The Milano Spaceship rescue is inspired by the epic action sequence at the end of the movie. With two flick-fire missiles and two stud shooters, the Milano is well armed for battle. 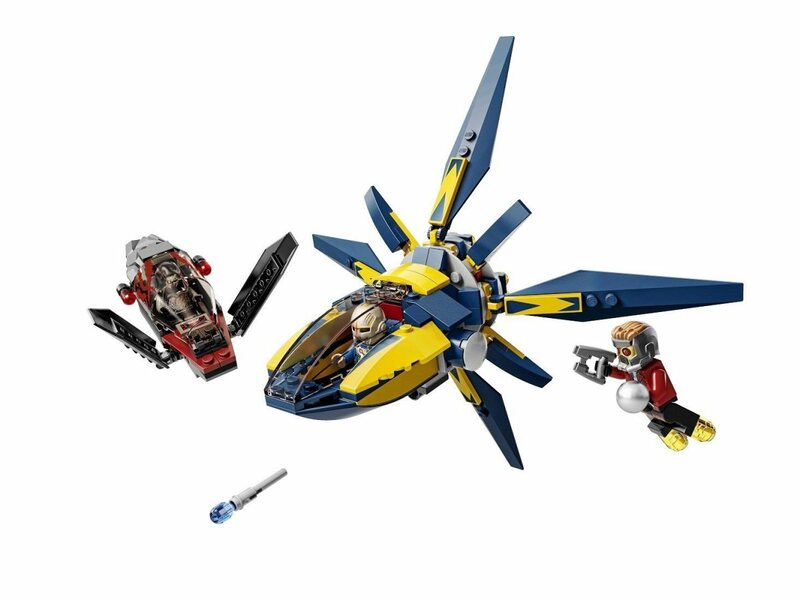 As Star-Lord's personal vehicle and the main ship in the movie, LEGO made sure to give the Milano a lot of details. The cockpit can open and be removed, allowing access to the inside of the ship. The interior has enough room for three minifigures and contains details like a fire extinguisher and Star-Lord's signature tape recorder. 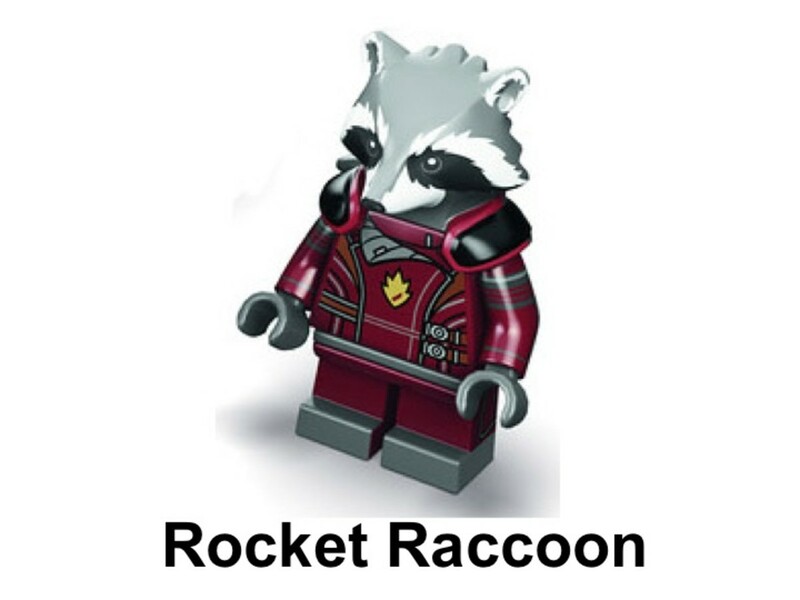 Decals from the promotional Rocket Racoon 5002145 set can be used to add even more fun details. Since Ronan's base ship would be too large for a standard scale set, the box comes with the smaller Necrocraft. This fighter has an opening cockpit, adjustable wings and two missiles. 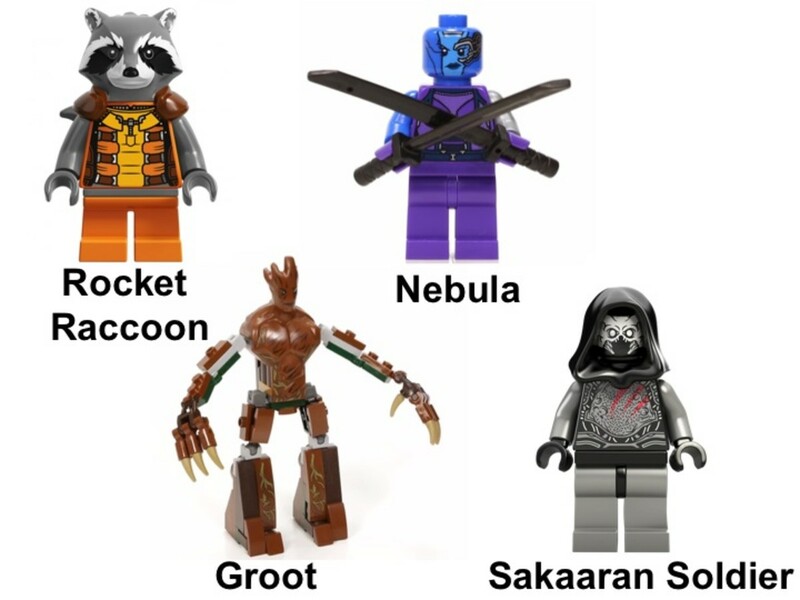 This would be the first set to have Star-Lord wearing his Ravagers suit. 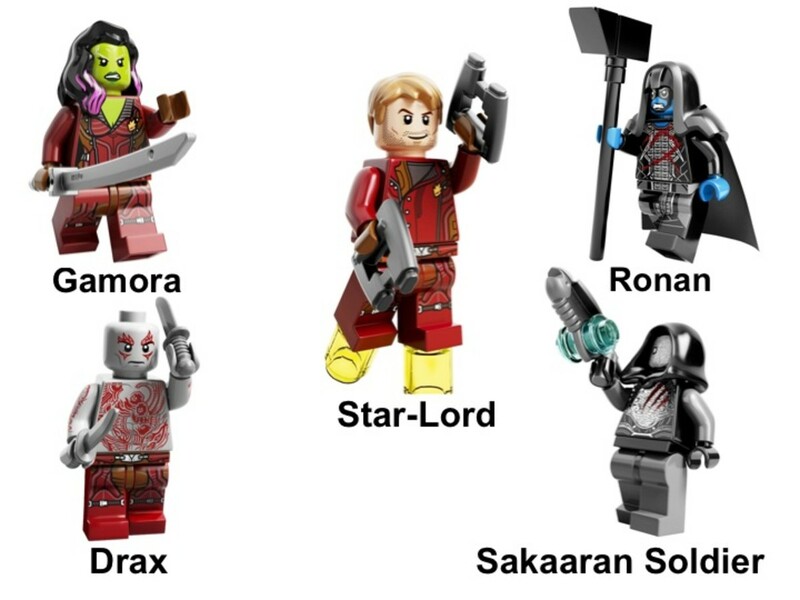 Gamora, Drax and Ronan would all be making their debut appearance as minifigures. Ronan comes with his Cosmic-Rod Staff. 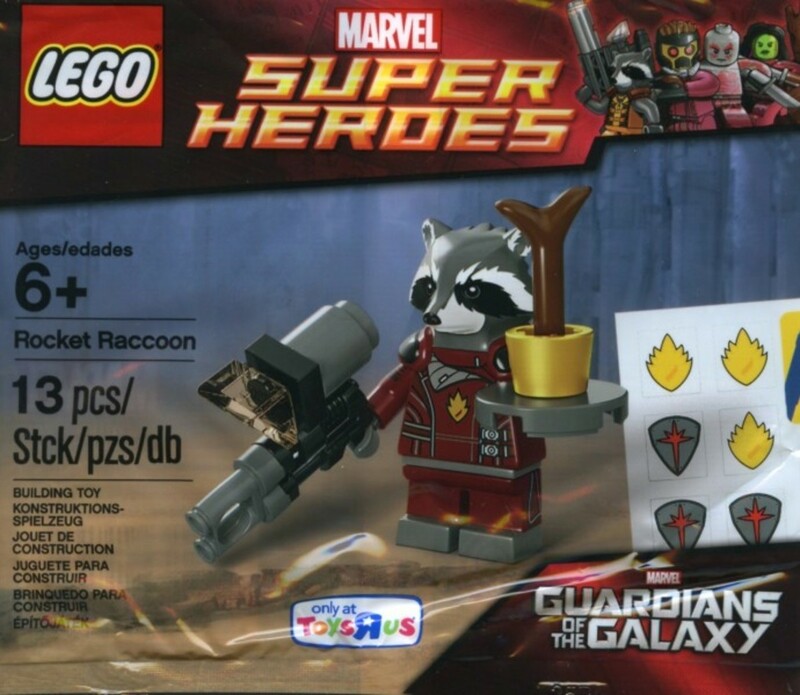 The Rocket Racoon minifigure was a promotional set given away at Toys "Я" Us stores. The figure used the ending of the film for its inspiration. Rocket has the gun that was used near the end of the film and a Groot sprout. 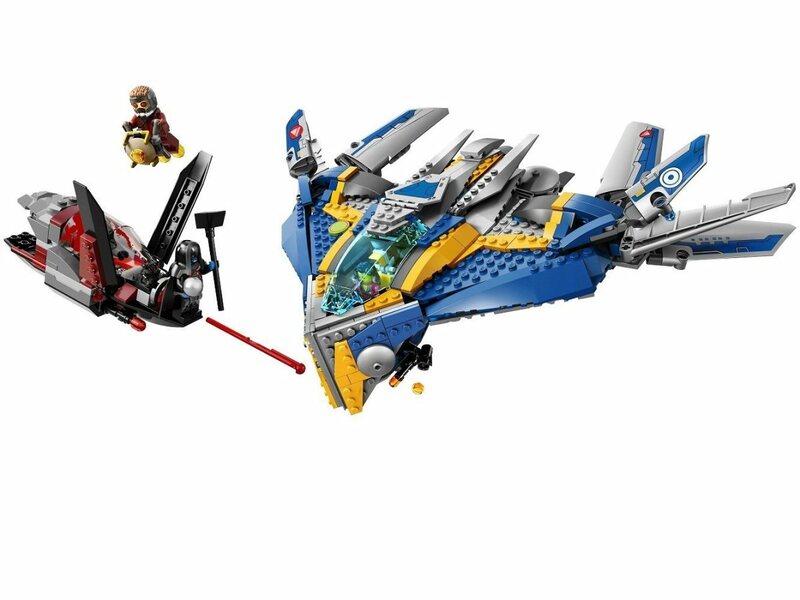 This is the set that included extra stickers for The Milano Spaceship Rescue 76021 set mentioned above. These fun decals included things like an I♥︎80s bumper sticker, Awesome Tape #1 and Awesome Tape #2. Only 1,000 of these numbered sets were available at the San Diego Comic Con. 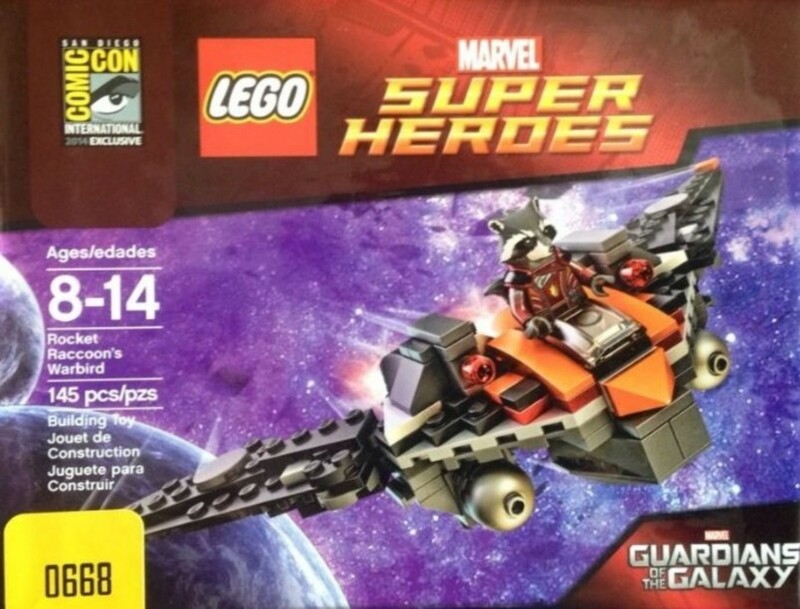 The set was released as a promotion for the Guardians of the Galaxy movie and LEGO building sets. Rocket sit on top of the ship, because it was too small for a functioning cockpit. The wings have a slight range of movement to fold in and out. 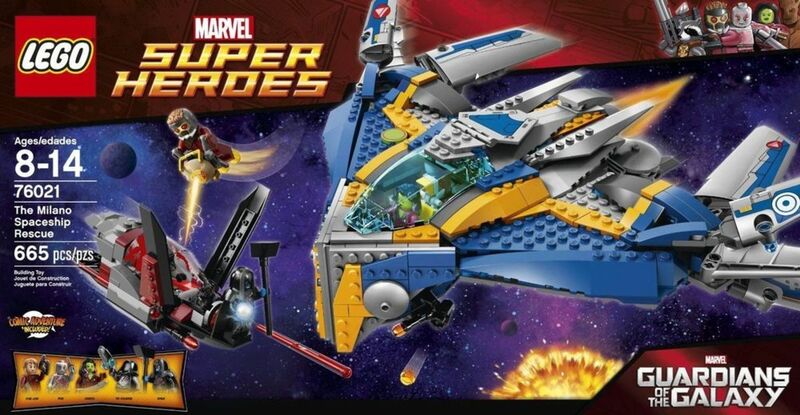 While Star-Lord is focused on the orb, the Nova Corps and Sakaaran are dogfighting in their starfighters. The Nova Corps' Starblaster wings fold to switch between fast pursuit and idle arrest mode. 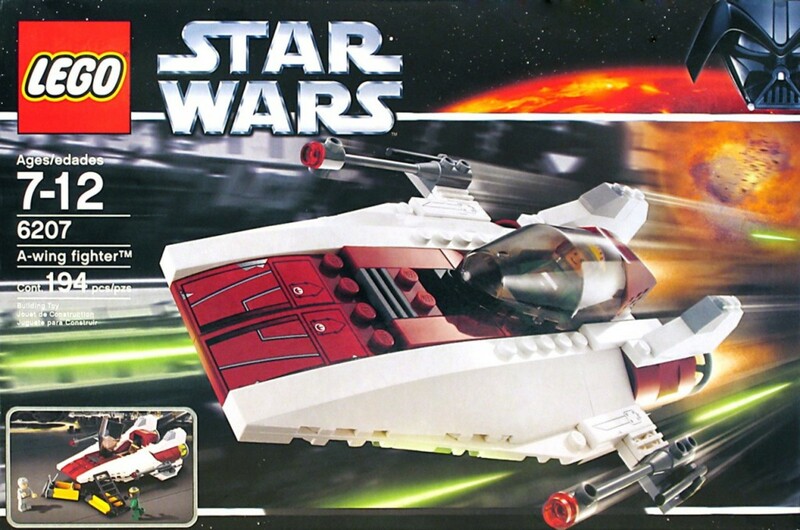 It is armed with two flick-fire missiles and has an opening cockpit. The smaller Necrocraft has an opening cockpit and movable wings. 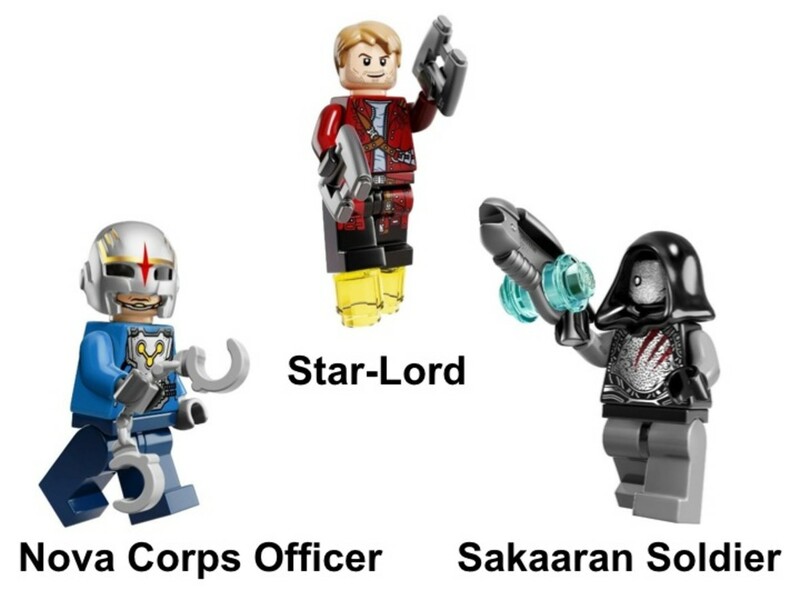 This would be the first set to contain a Nova Officer minifigure. 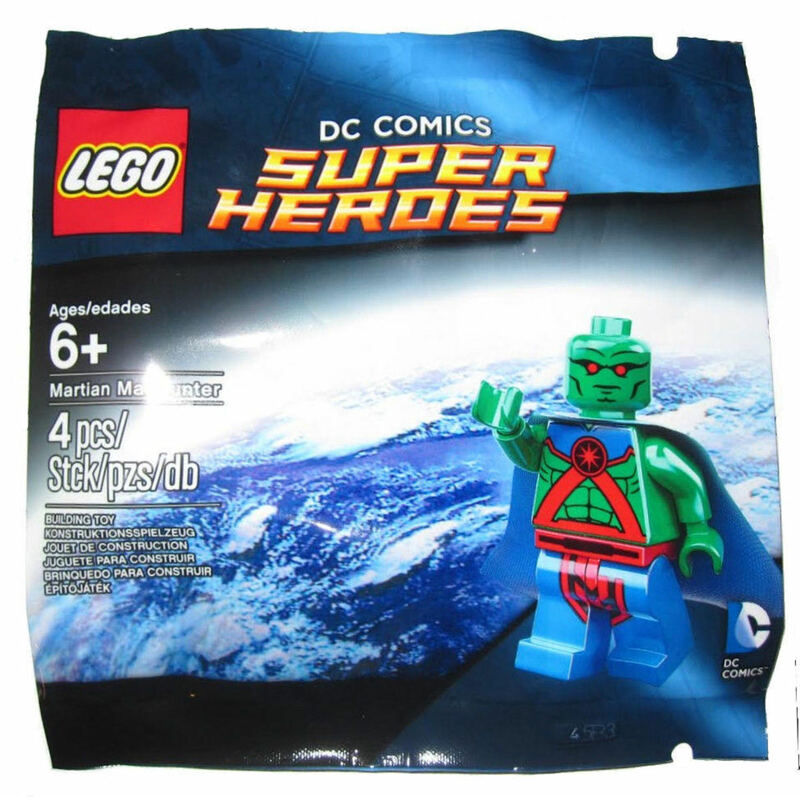 The only sets released for the DC Super Heroes theme without Batman were two promotional polybag Minifigure sets. J’onn J’onzz has several origin stories. He is from Mars and through different circumstances becomes stuck on Earth. His story, like Superman, is one of isolation and struggle to uphold justice. He has a wide range of super powers. His abilities in telepathy, invisibility, strength and flight only touch the surface of his gifts. 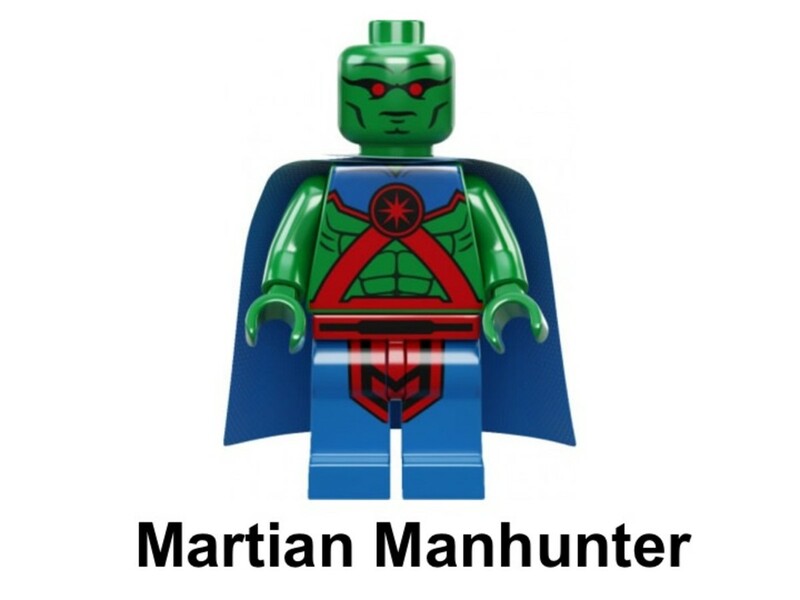 The polybag only contained the Martian Manhunter Minifigure, but LEGO stressed his "removable cape". 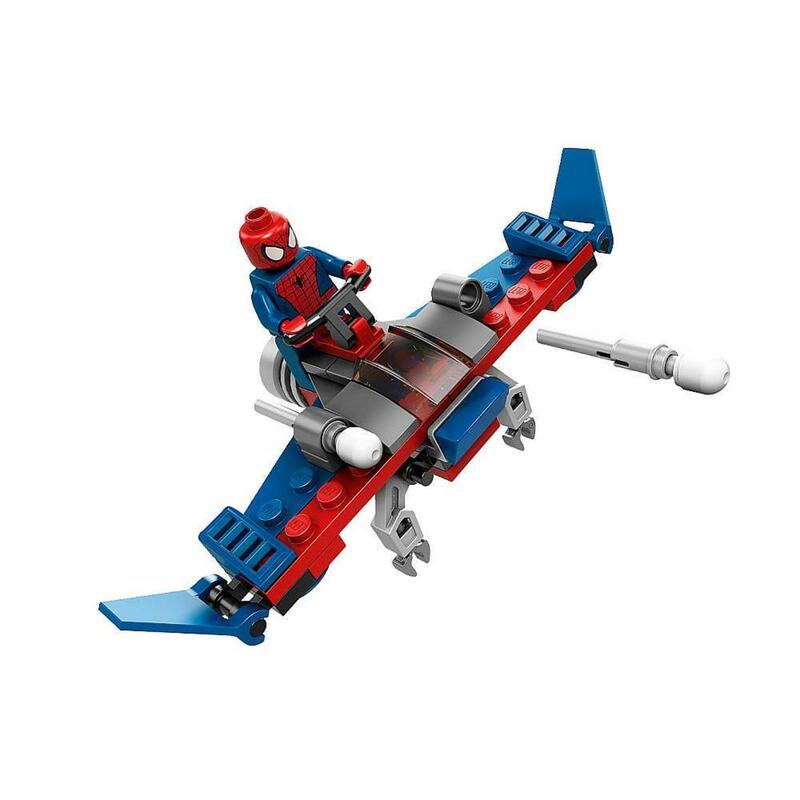 This set was free with a purchase of $75 or more from LEGO store or LEGO.com during the month of March. However, it sold out by March 15th. Patrick O'Brian was exposed to a batch of chemicals, during a robbery gone bad, and his body was changed on the molecular level. 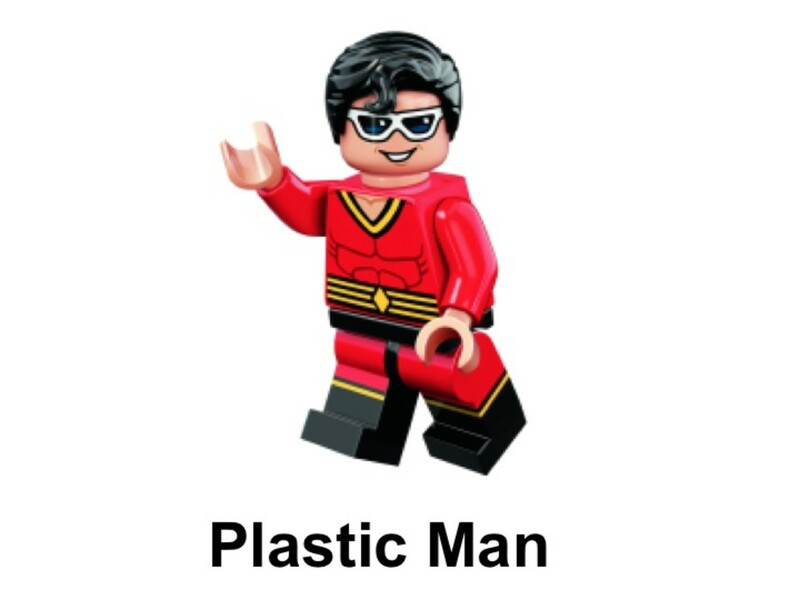 Plastic Man has the ability to stretch his body into amazing shapes and sizes. 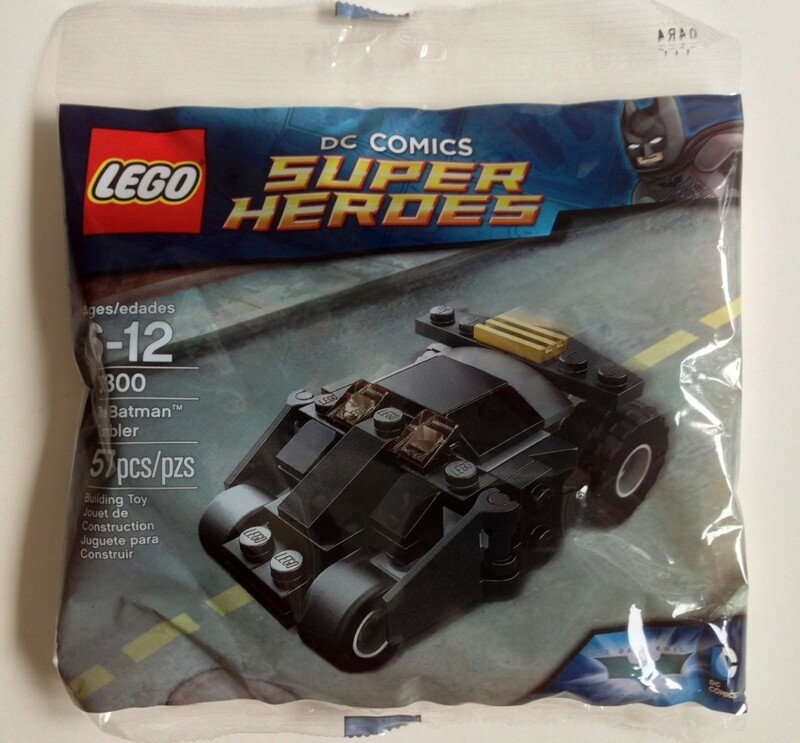 This polybag set was given away free with pre-orders of the new LEGO Batman 3: Beyond Gotham video game from GameStop stores in the US. 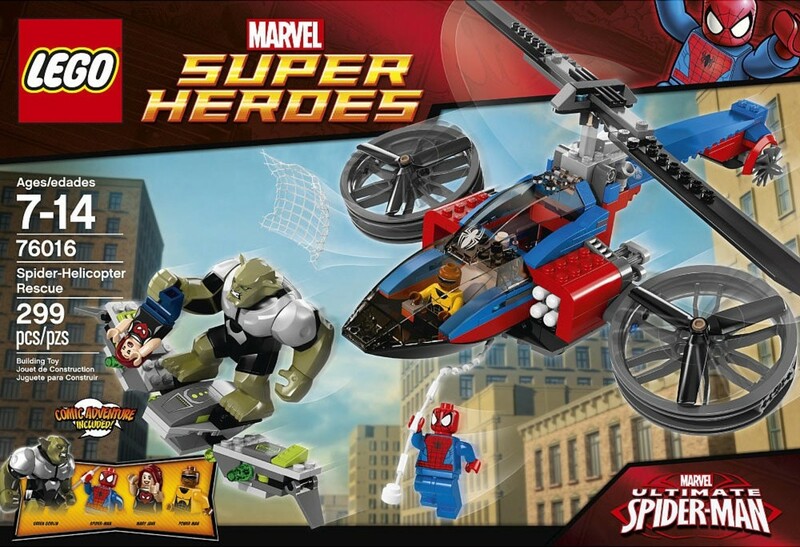 As one of Marvel's most popular and well marketed character, LEGO has several sources to draw upon for their Spider-Man building sets. Dr. Octopus always has an evil plans in the works, but needs money to finance his operations. That's why he is set on robbing an armored truck filled with money, gold and diamonds. The guard is able to drive the truck from the front cabin. There is enough room in the back to store four safes. 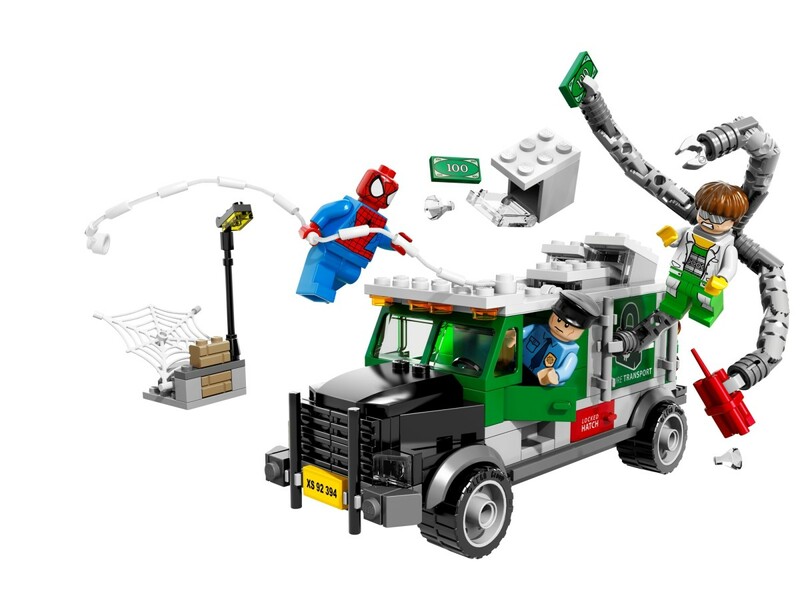 The doors of the truck open, but the roof can be removed to pretend Doc Ock has ripped it open or blown it off. A hidden button can be used to launch the loot into the air. There is a lamppost to help set the scene and give Spider-Man something to web onto. 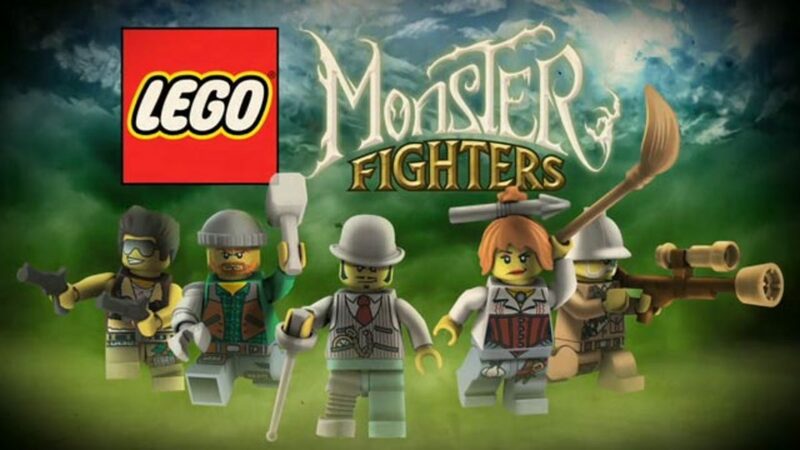 The minifigures are also given a lot of playable features. 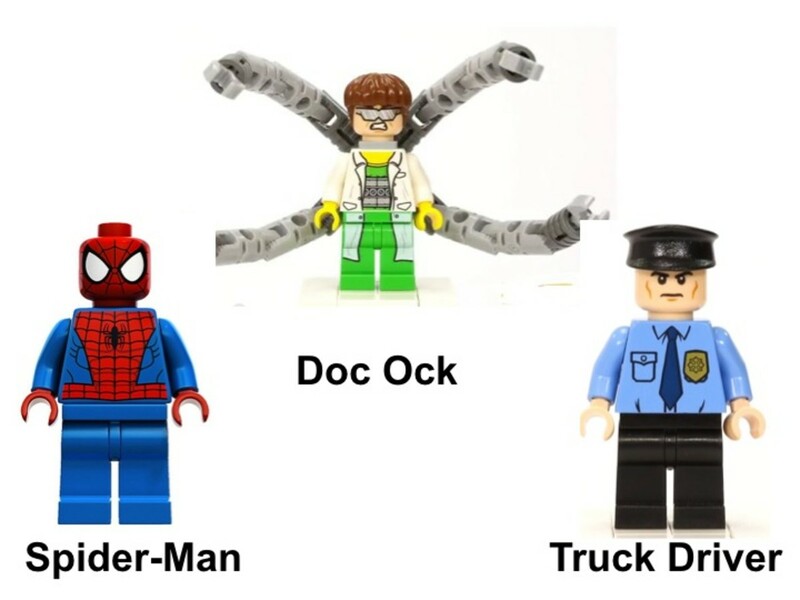 Dr. Ock's tentacles can be moved into different positions and Spider-Man has a web launcher to help him jump through the air. Maxwell Dillion was electrocuted and had his body altered into an electric state. 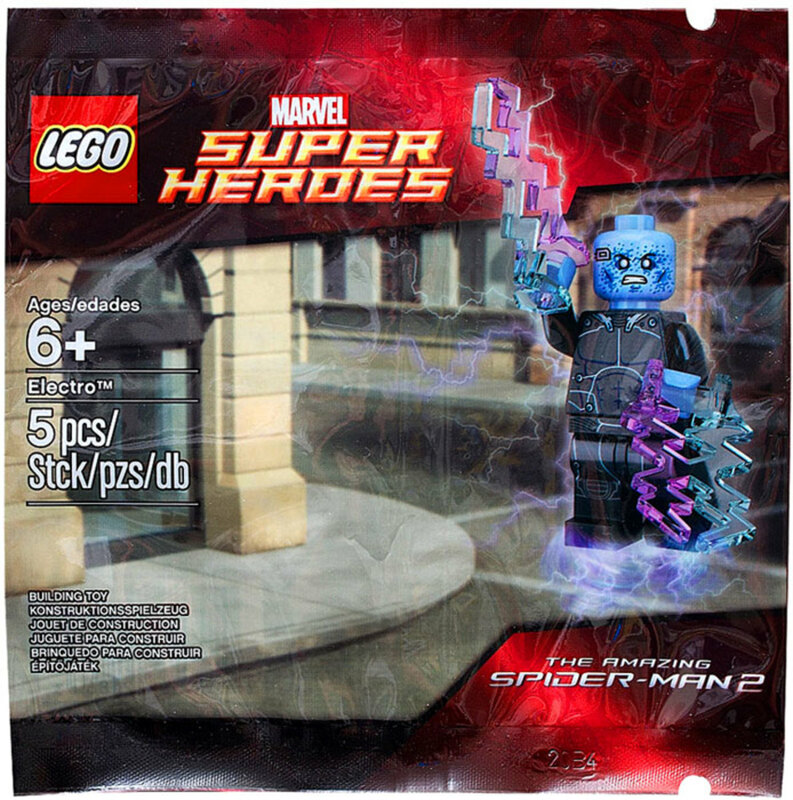 This polybag Minifigure set was released at KidsFest in Fairfield, Virginia and based on Jamie Foxx's character from The Amazing Spider-Man 2 movie. The set was going to be widely distributed in 2014, but was canceled. Spider-Man is chasing after the Green Goblin, who has kidnapped Mary Jane. 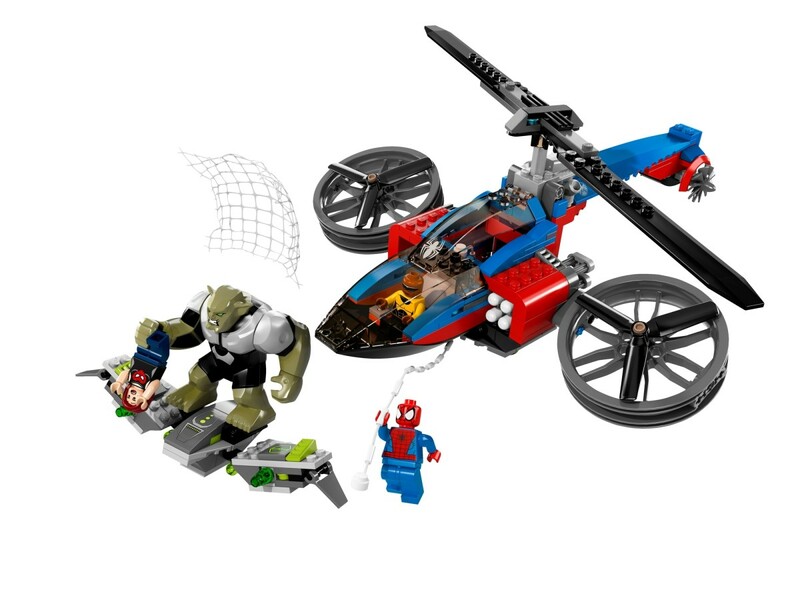 The Spider-Helicopter is the same one featured in the LEGO Marvel Super Heroes video game. The chopper has rotating blades, to simulate flying through the air, and two cockpits. The main cockpit is for the pilot, while the second one has a removable floor, so the passenger can make a quick exit in the air. The copter is armed with four flick-fire missiles and a web launcher. Both of these weapons are activated by pushing a mechanism behind them. The Goblin's Glider has a simpler design, but managed to fit two flick-fire missiles beneath its wings. 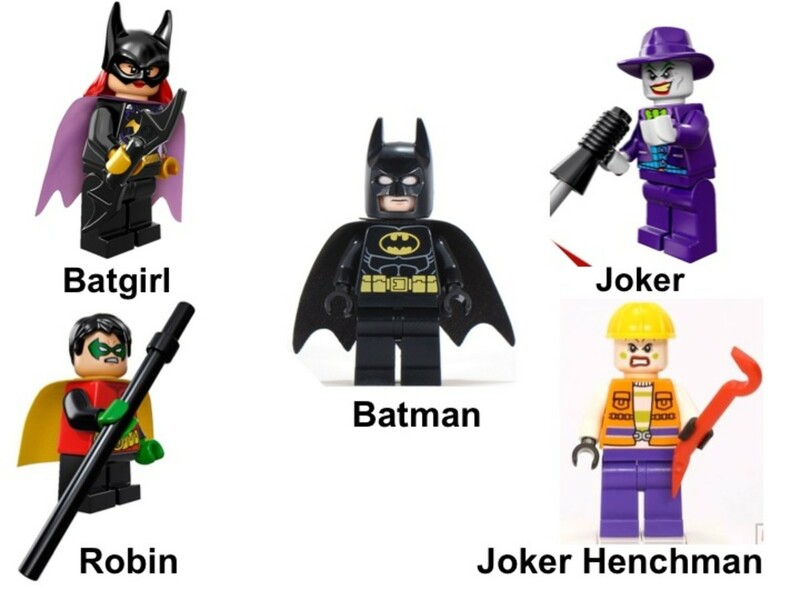 This set would include the first Power Man minifigure. 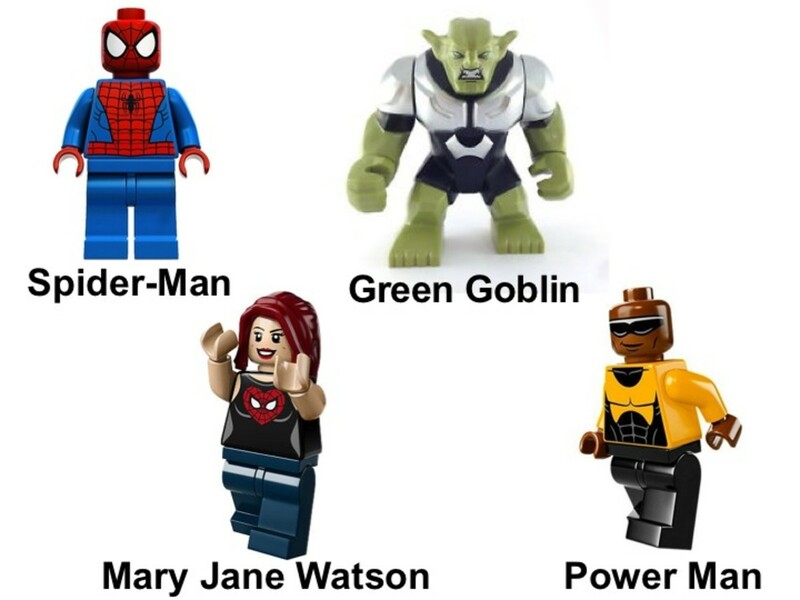 The Green Goblin and Mary Jane minifigures had not been made since the original Spider-Man theme connected to the Sam Raimi movies were released. Both their figures were completely redesigned to match the comic book versions of the characters. Spider-Man usually gets around the city by web swinging between the skyscrapers of New York. 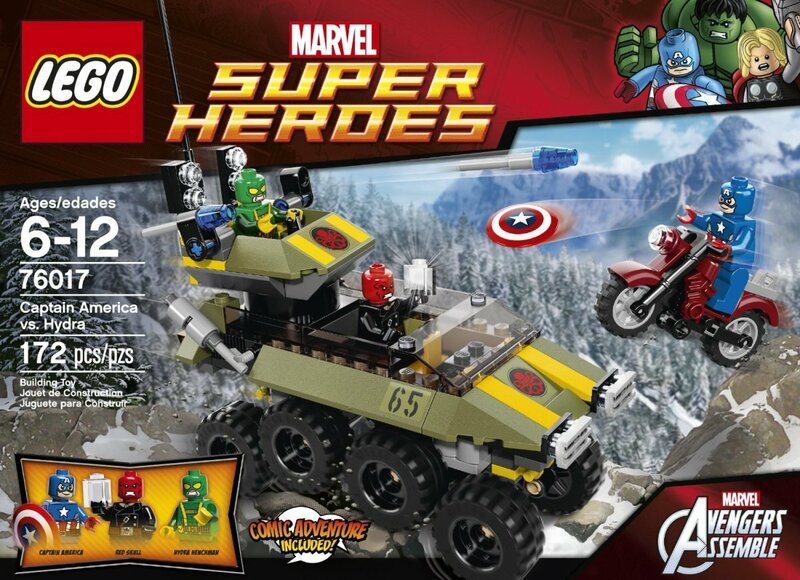 However, LEGO likes to give their super hero characters vehicles. 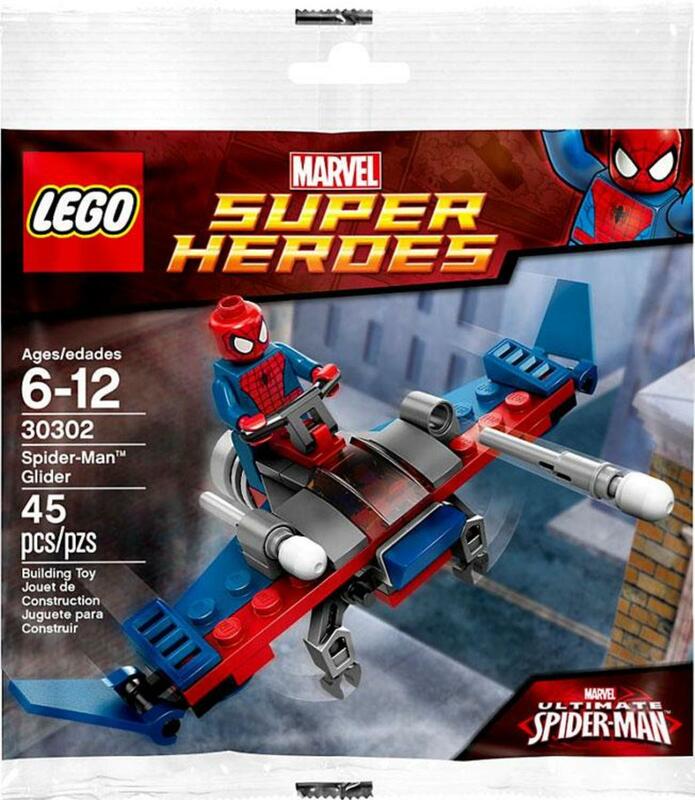 Plus, a glider would get Spider-Man to where he was needed much faster. The glider is armed with two flick-fire missiles and grabbing arms. The side wing flaps move to help create a more realistic flying effect. 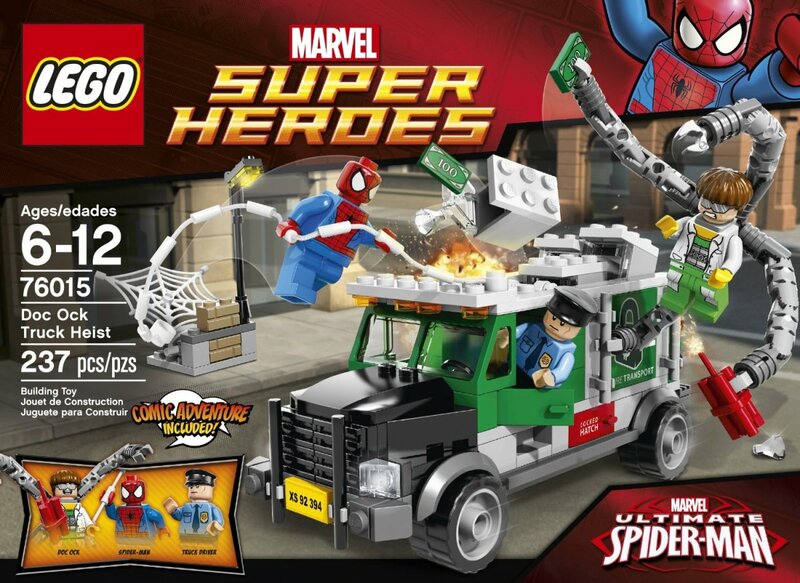 Despite Peter Parker being a poor individual, who can barely pay his bills, LEGO likes to give him lots of Spider-Vehicles. 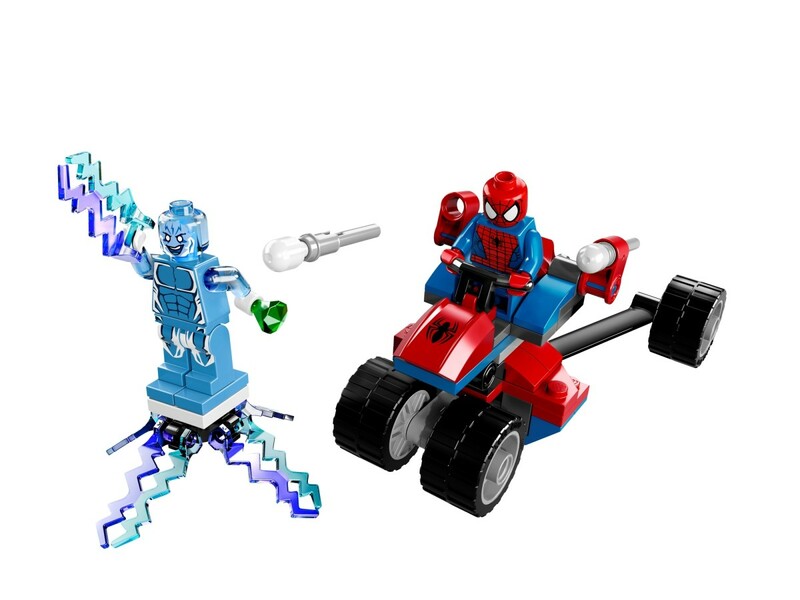 In this set, Spider-Man is chasing down Electro and trying to recover the stolen diamond. 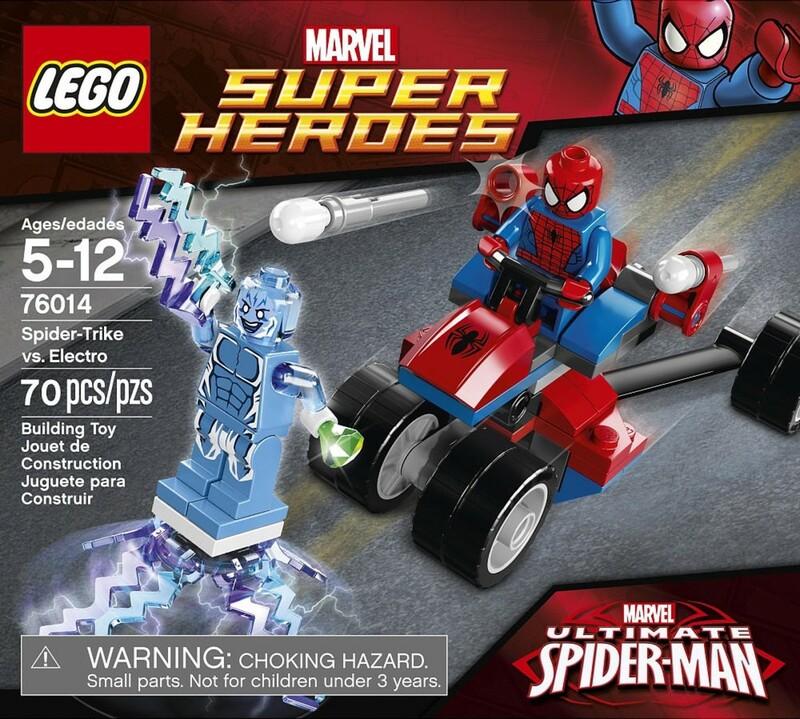 The Spider-Trike has an ejection seat, to launch Spider-Man into the air and at his flying opponent. If being a human cannonball does not work, the trike is also armed with flick-fire missiles. 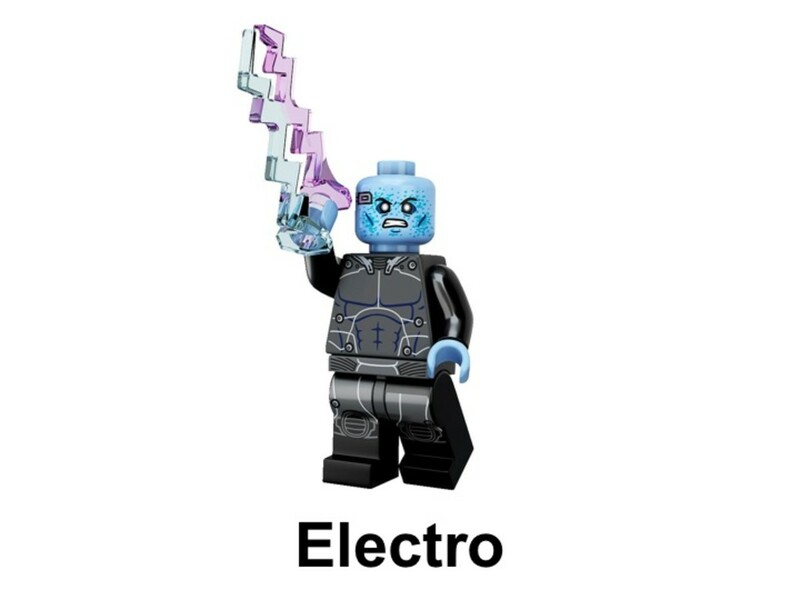 Electro is given a small electrical current to fly on. 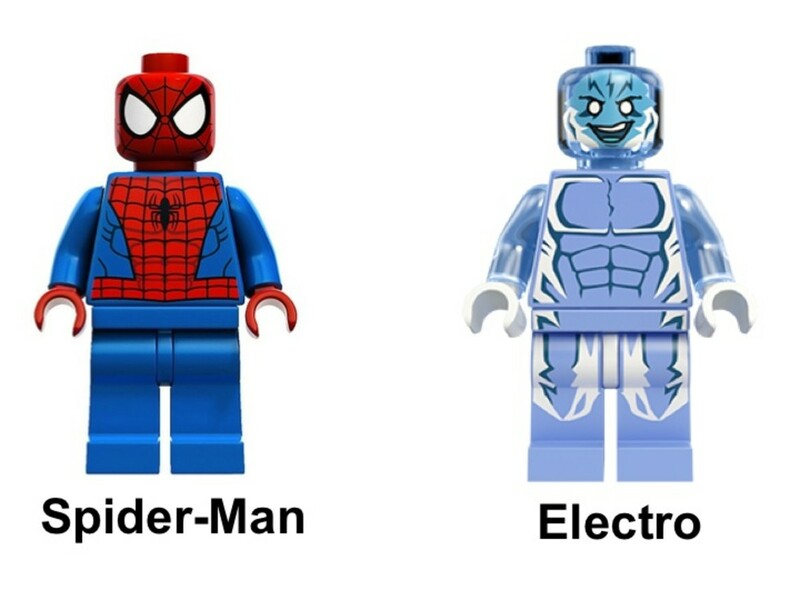 This was the first building set to include Electro. 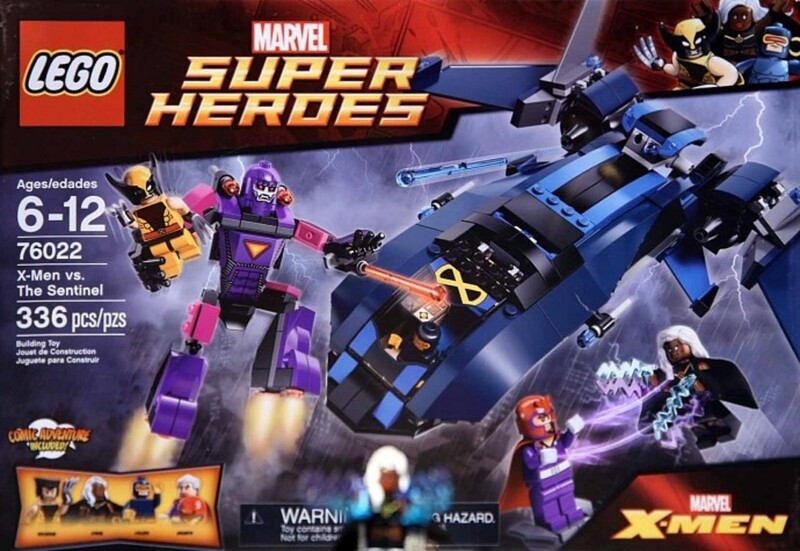 Once again, only one building set would be released based on the X-Men franchise. The story for this set is slightly inspired by the X-Men: Days Of Future Past movie. It has Magneto controlling a Sentinel, but then goes off script. He is trying to capture Wolverine, while Cyclops and Storm race to save him in the Blackbird. The Sentinel is a little over 4" tall. It has grabbing hands and both its arms and legs are fully articulated. 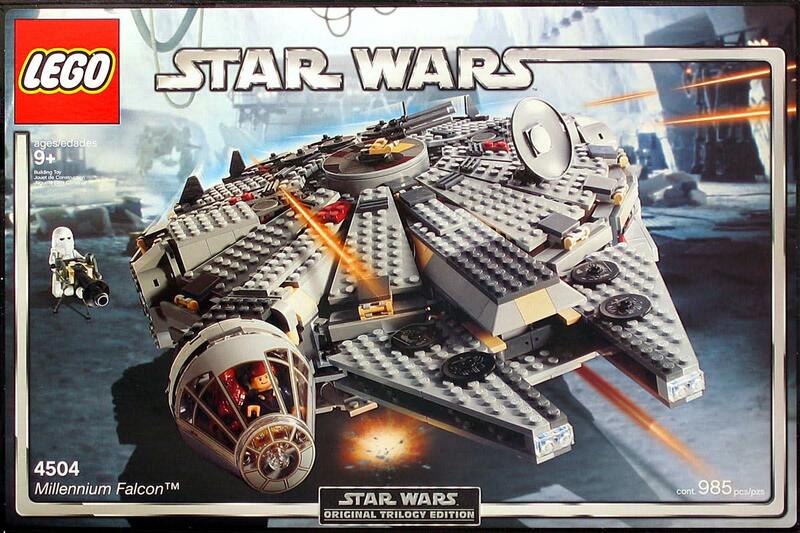 It is armed with lasers and two rotating flick-fire missiles. 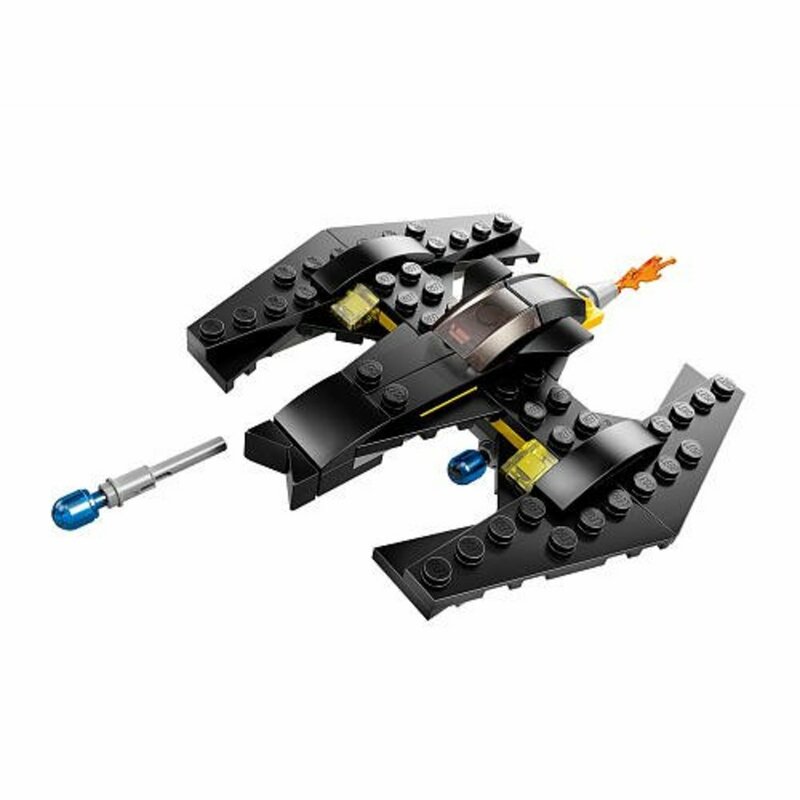 The X-Men's Blackbird is equally well armed. It has a spring loaded shooter, with two missiles, and an additional two flick-fire missiles. The cockpit opens to fit a minifigure in the pilot's seat and the rear roof ledge opens to reveal a detailed cabin capable of fitting four minifigures. For even more realistic detail, the wings are adjustable. 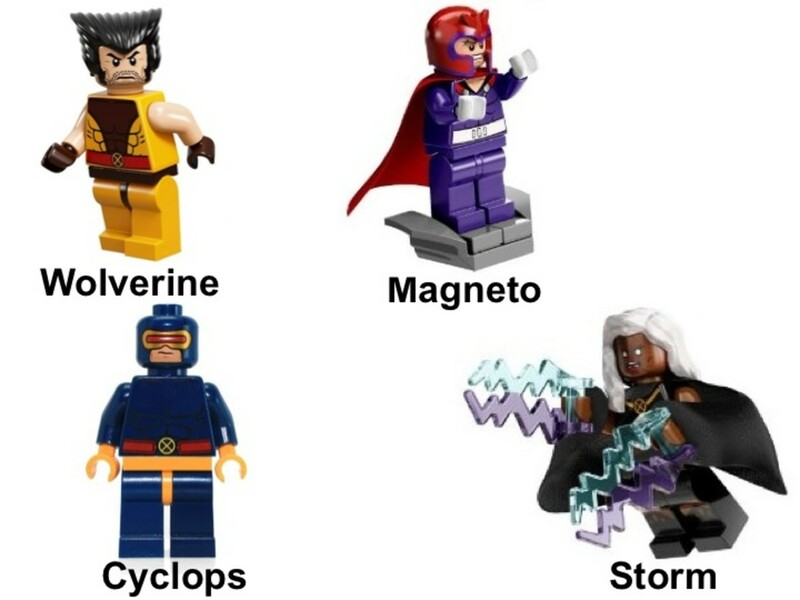 This is the first time Storm and Cyclops are included in a building set. 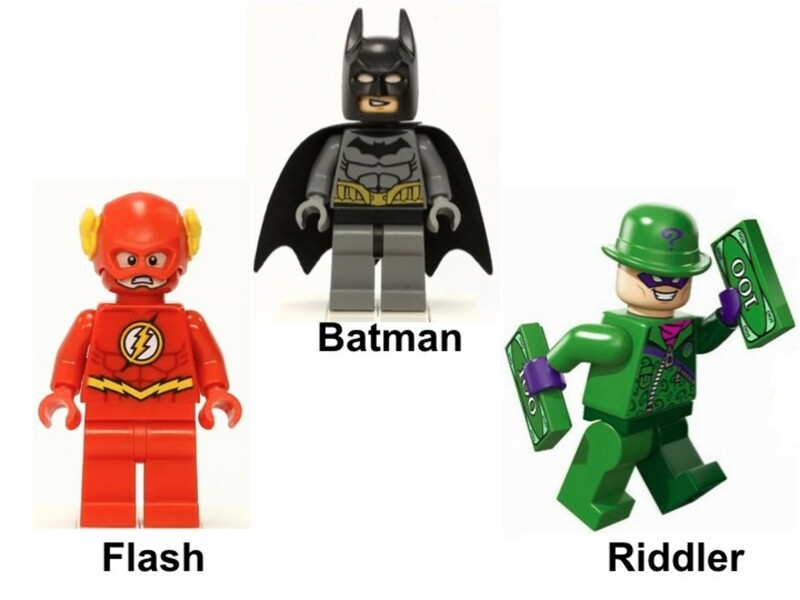 Read about the 2013 Lego Super Heroes building sets. With fun facts and lots of pictures. 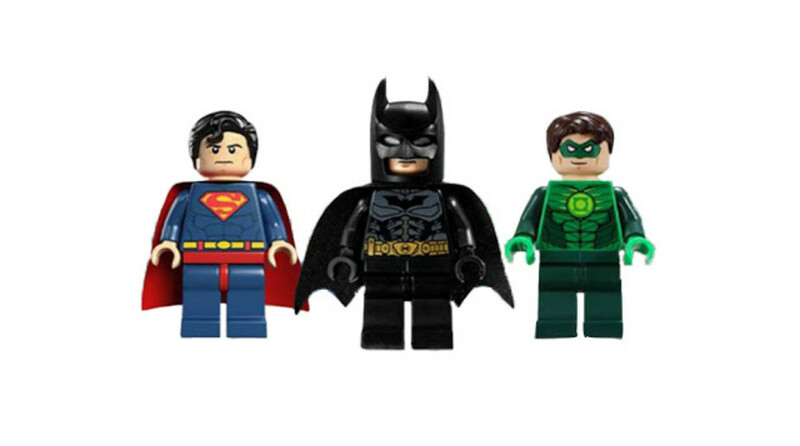 A look at the Marvel and DC Comic Superhero LEGO Building Sets and Video Games. 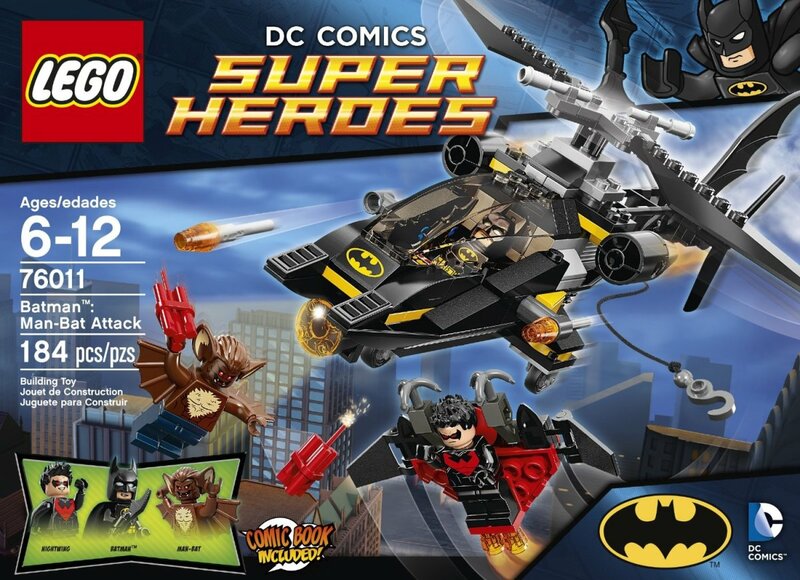 Man, this was a good year for LEGO Superhero sets (though I'd say that for every since 2013). 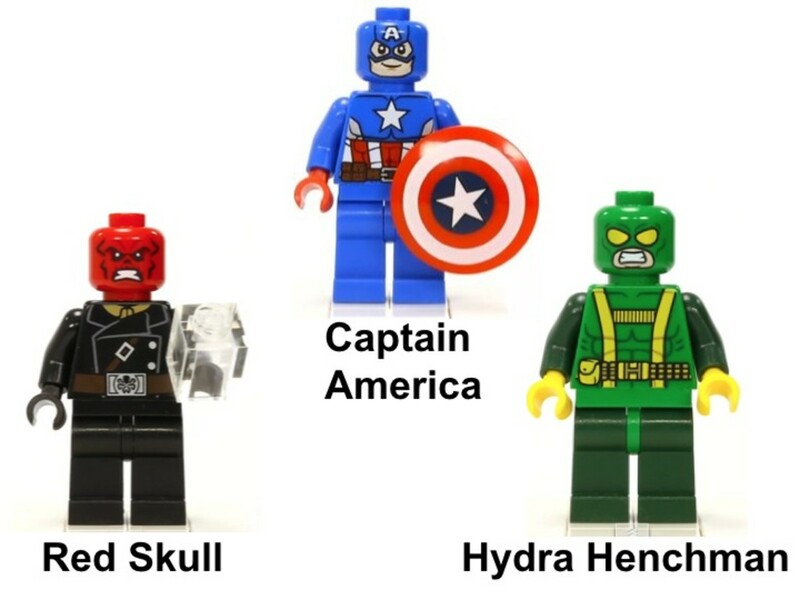 The Red Skull and MODOK sets are fantastic; I think I started laughing when I heard MODOK was going to be in LEGO form. He's certainly one of the most unique comic book villains and definitely an awesome villain to have. I've got some of the minifigures from some of the other Marvel sets. Very well-made, great details. Cool compilation of all the sets. 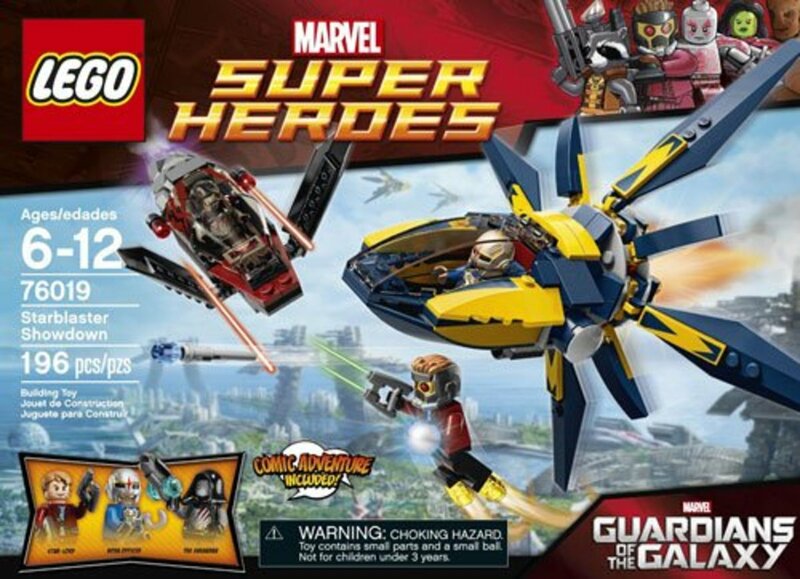 It's fun to reminisce on how awesome the LEGO/Marvel partnership has been. I am having a hard time deciding which one I like best. Hope you don't mind if I don't show this to my youngest as he would have a harder time than me picking a favorite.